It's hard to believe, but we are just weeks from Election Day. 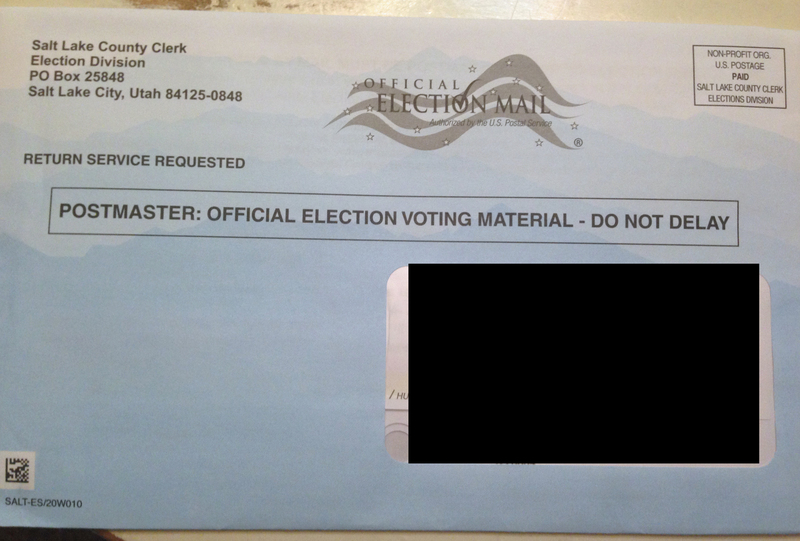 If it hasn't already, your ballot should be arriving in the mail shortly (more in the above link). 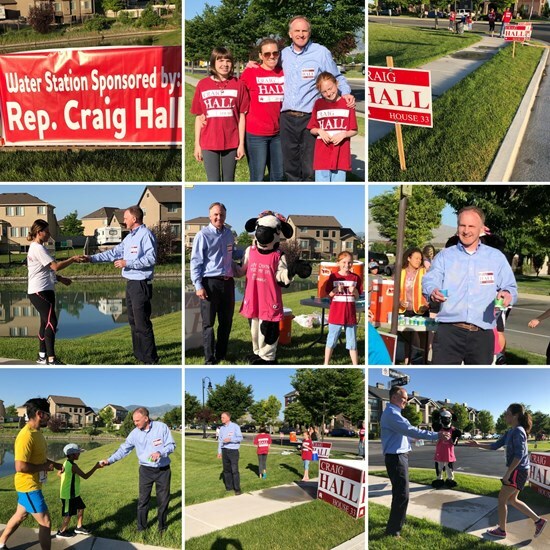 We have been reaching out to voters within District 33 for months through knocking on doors, being part of community events, meeting voters at events and on their front porch, putting up signs, etc., etc. It has truly been an honor representing the great folks of District 33. 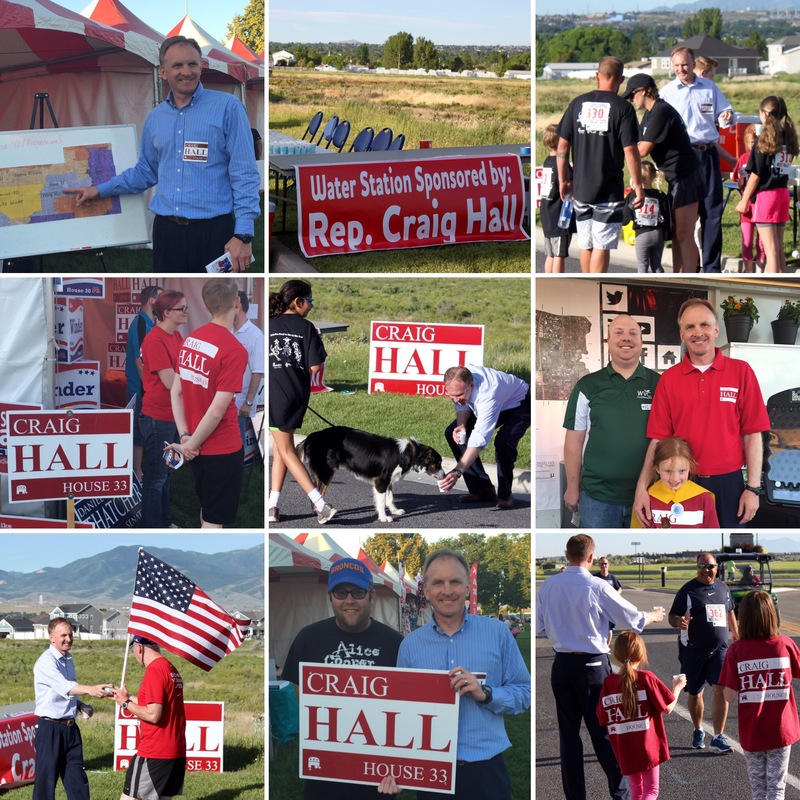 I feel good about what we have accomplished over the last few years and humbly ask for your vote to represent our community for another term at the State Capitol. 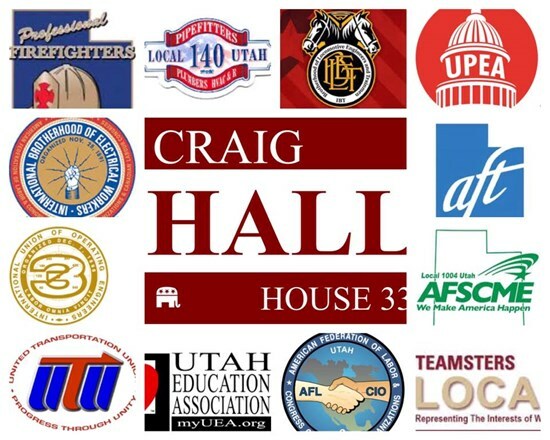 Utah AFL-CIO Endorses Rep. Craig Hall! I am so grateful for all the support I continue to receive for my campaign. This ranges from individuals throughout my District, and organizations that represent different types of groups. 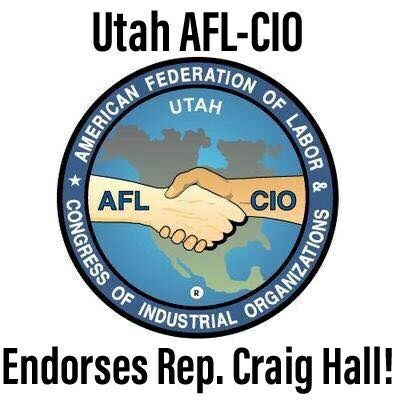 One organization (of many) that has officially endorsed my campaign is the Utah AFL-CIO. 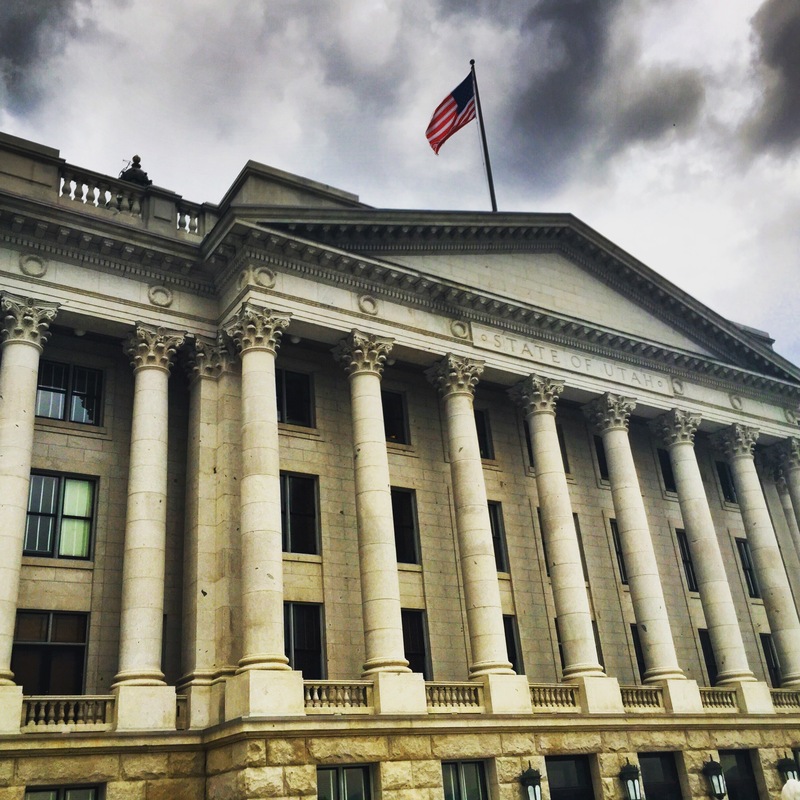 This organization represents dozens of employee groups in Utah, including steelworkers, firefighters, letter carriers, railroad workers, electrical workers, etc. So grateful to receive their support. Thank you! September is somehow here already! 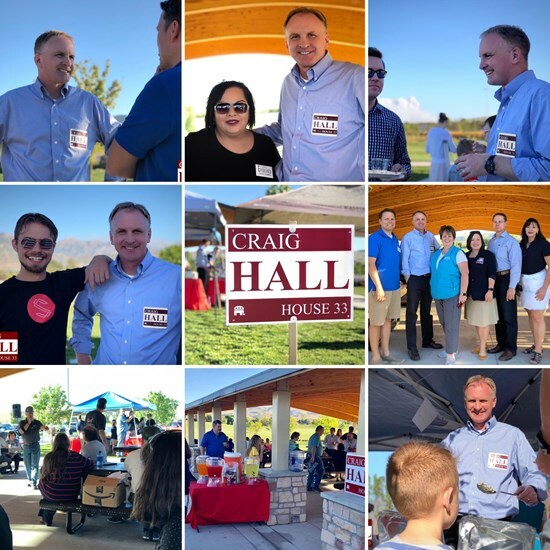 Click on the above link to see the latest from the August Interim Session, how the campaign is going, and events from throughout West Valley. Thanks again for all your support! Summer is flying by! Click on the above link to see the details on the July Interim/Special Session, AND the latest regarding our November 2018 campaign! Time is flying It is already July! Hope you're having a great summer. 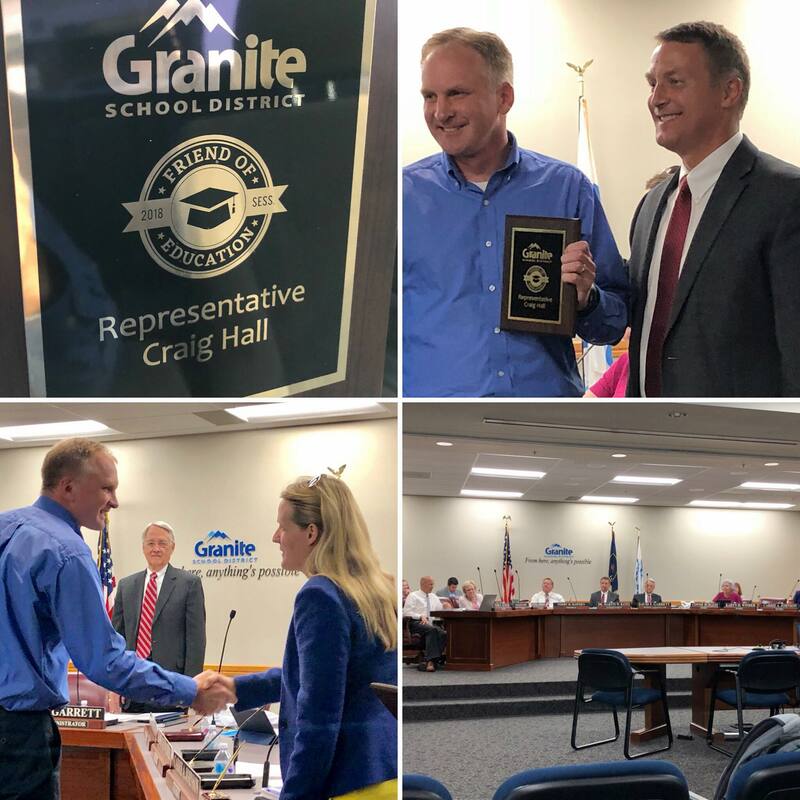 Click on the link above to find out the latest, including Rep. Hall receiving the Granite School District "Friend of Education" Award, WestFest, scholarship winners from Granger High School, what occurred at the last Interim Session meetings, etc. I hope you're having a great spring/summer! Following the completion of the general legislative Session begins the off-season, or "Interim" Session. Once a month we meet in committees comprised of both House and Senate members and begin to craft and discuss proposed legislation for the 2019 general session. 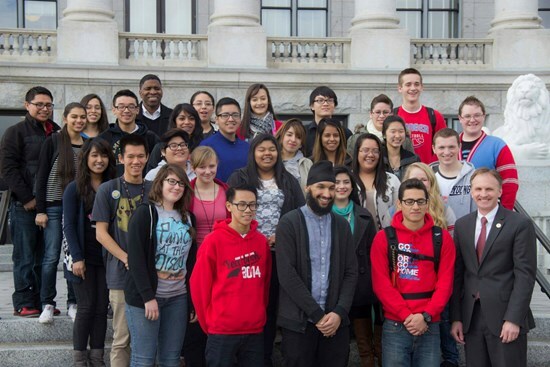 This year, our first Interim Session was on May 16. Click on th above link to find out all the details! 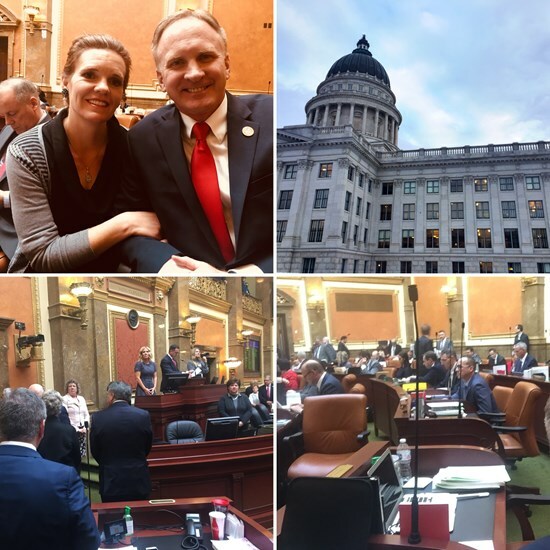 The 2018 General Session of the Utah State Legislature is complete! Thank you so much for all your support. It is truly an honor to represent the great residents of District 33. Click on the link to see all the details from this last week! 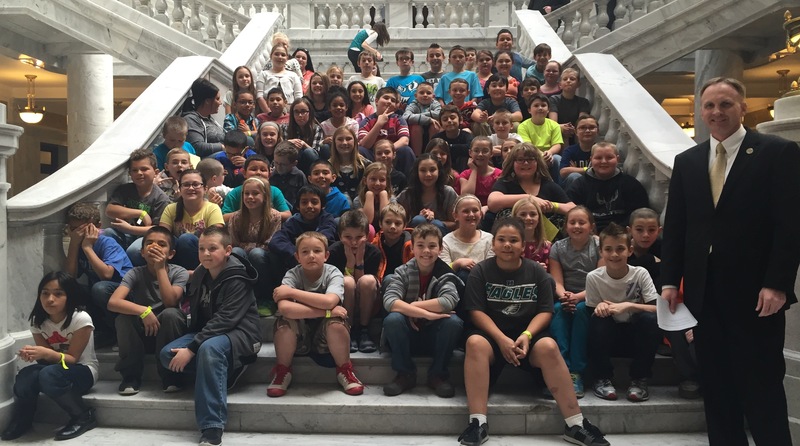 Click on the link above to see just a few highlights from the week, including Museum Day at the Capitol, West Valley students visiting the Capitol, Rep. Hall's legislation, and other bills being presented over the last week! 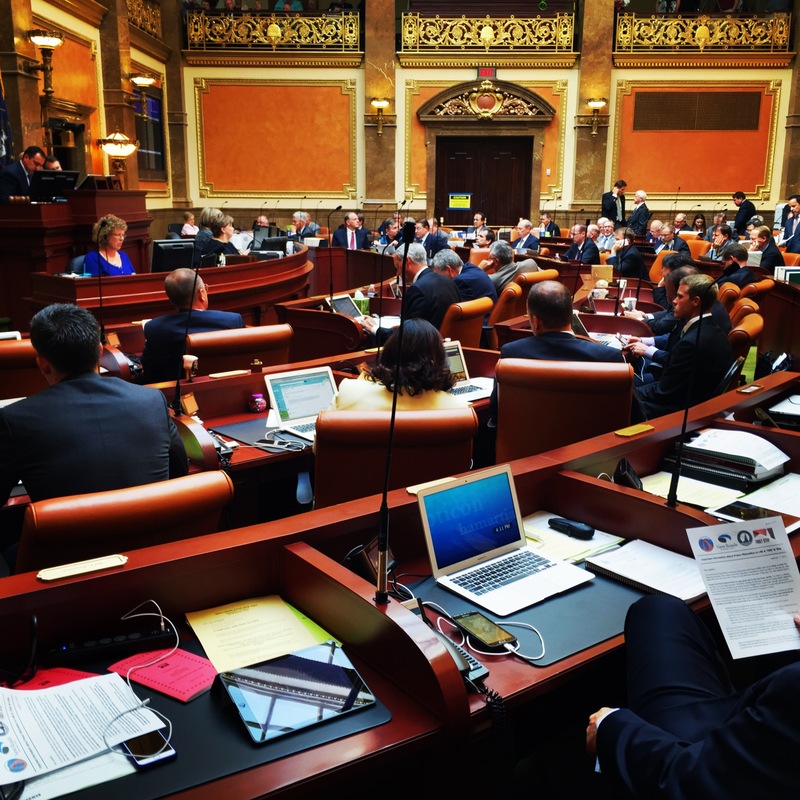 Week 5 of the 2018 General Session of the Utah State Legislature brought a lot of snow. But that didn't stop the Legislature from plugging along. 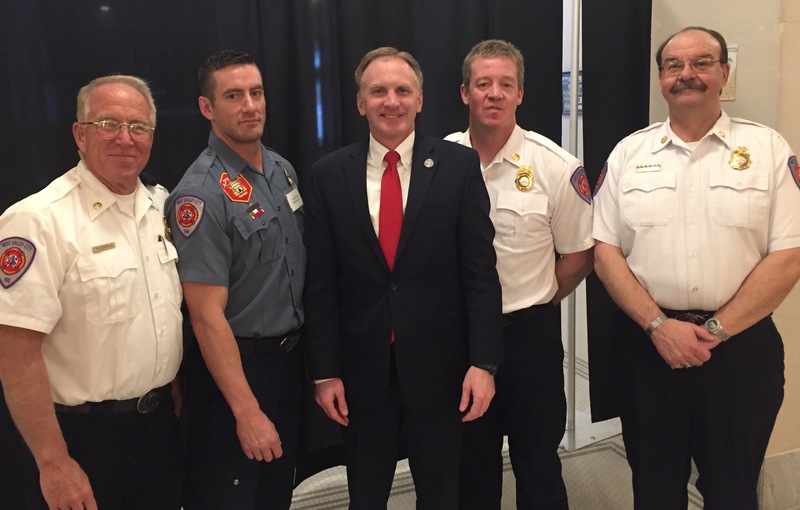 Click on the link to see some of the highlights, including honoring firefighters at the Capitol, 2018 legislation, and my Town Hall meetings throughout the Session! 2018 Legislature - Week 4 Summary! 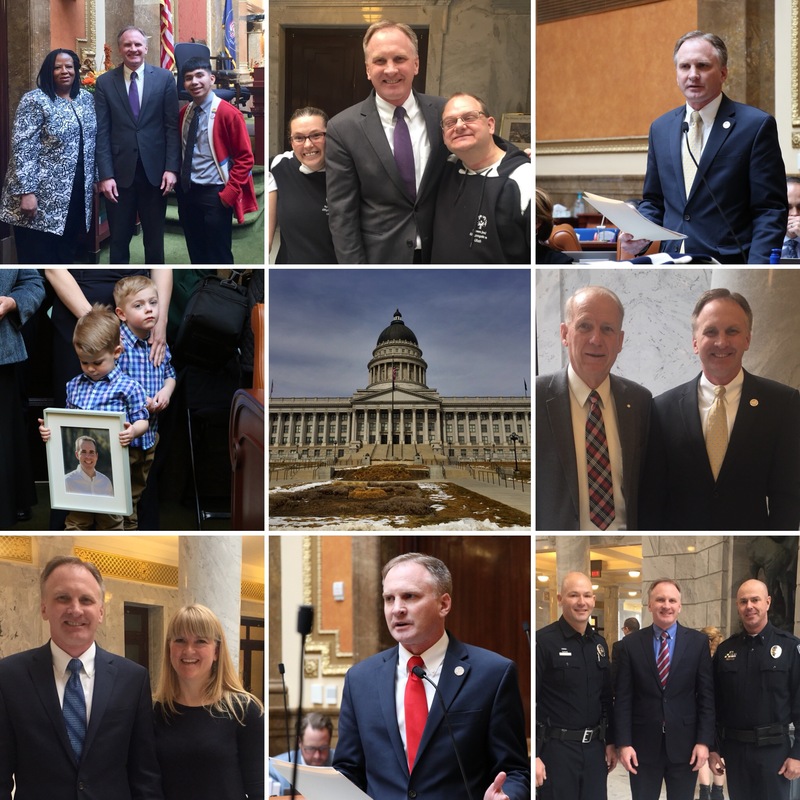 Week 4 of the 2018 General Session of the Utah State Legislature is complete.Click on the above link to see some of the highlights, including honoring Utah's fallen soldiers, speaking with teachers at the Capitol, and the status of pending legislation! 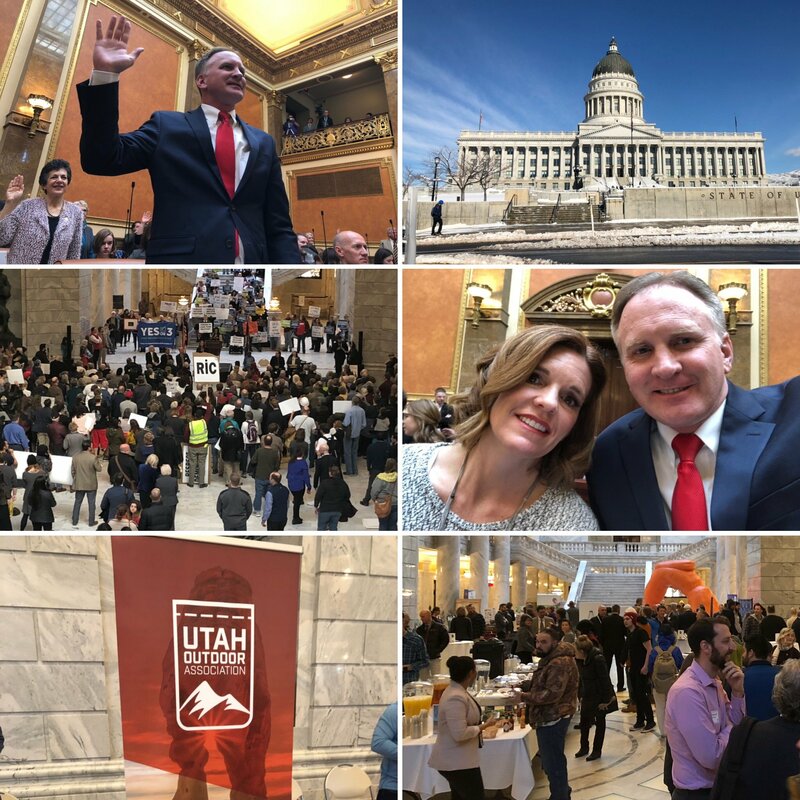 Week 3 of the 2018 General Session of the Utah State Legislature flew by. 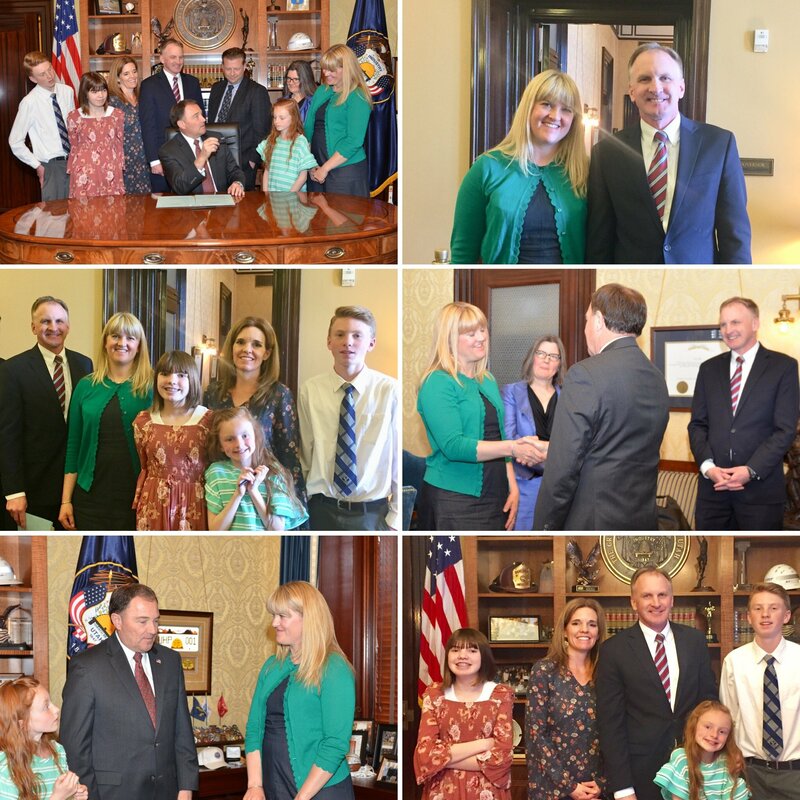 Thank you so much for all of your support.Click on the above link to read all the highlights, including visits to the Capitol by folks in West Valley who led the Utah House of Representatives in the prayer and the Pledge! 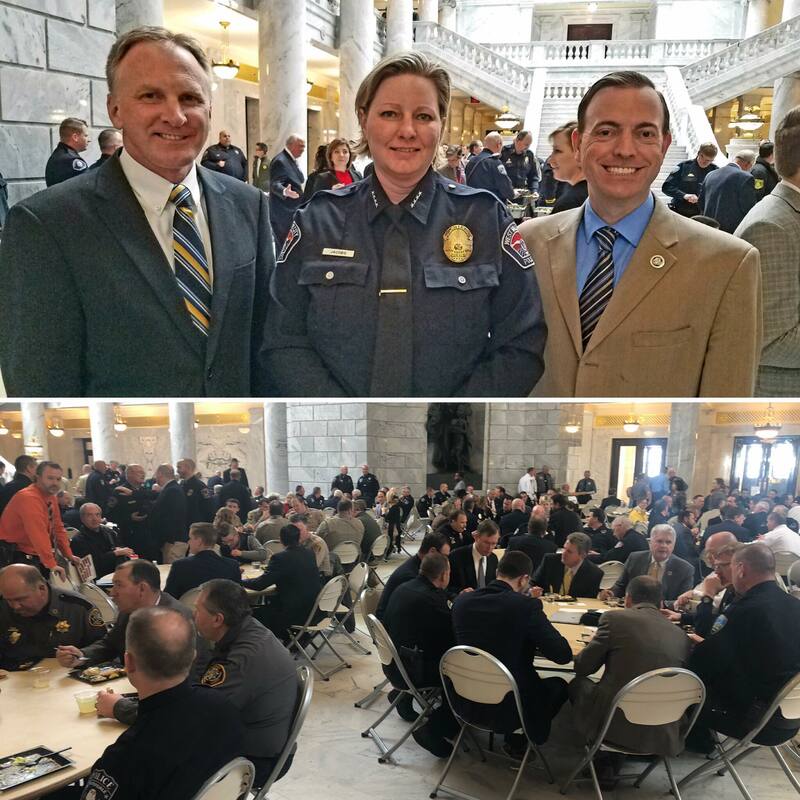 2018 Legislature - Week 2 Summary! 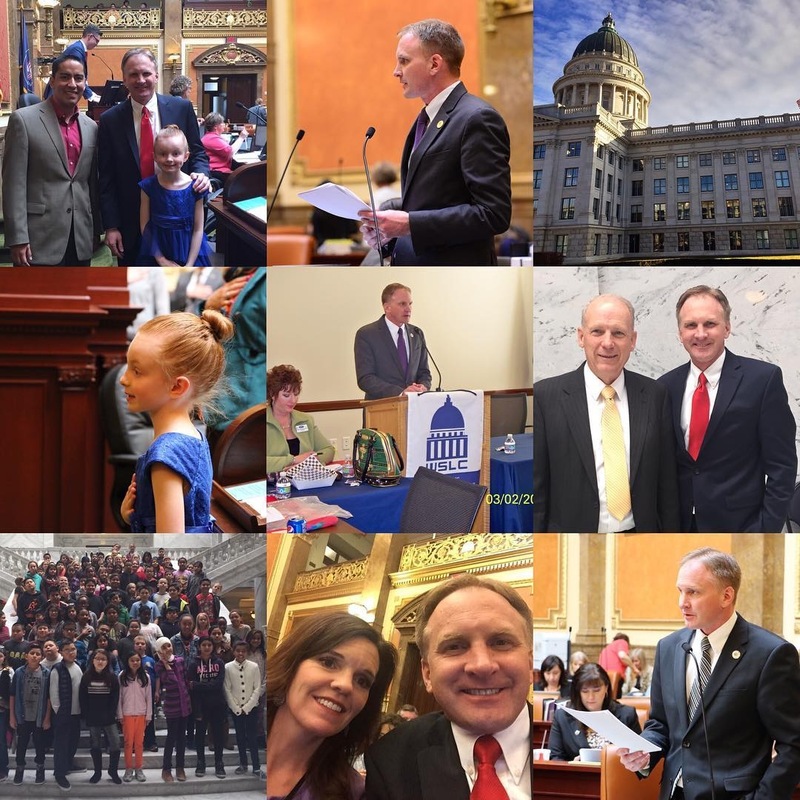 Week 2 of the 2018 General Session of the Utah State Legislature is in the books. Thank you so much for all of your support. It is truly an honor to represent the great residents of District 33. 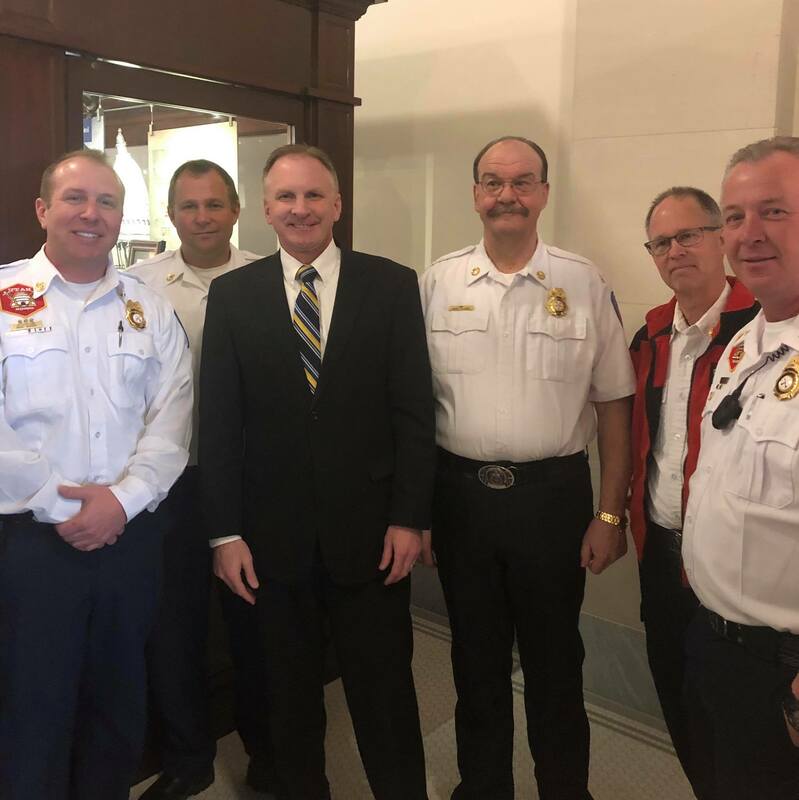 Click on the above link to see the latest, including Nurse Wubbels testimony in support of my blood-draw bill, Law Enforcement Day at the Capitol, and the latest 2018 legsilation! 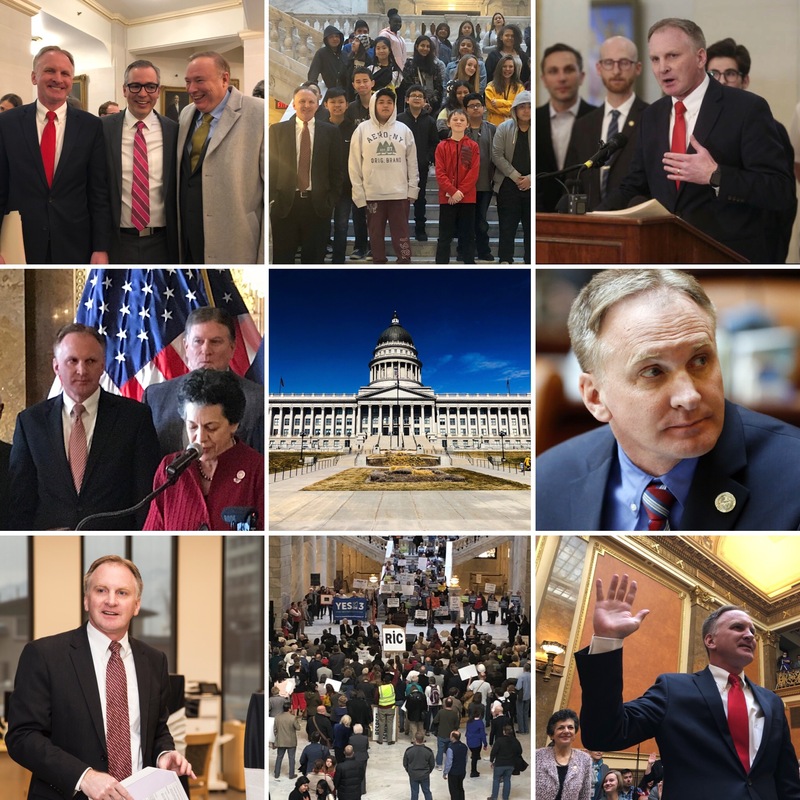 Click on the above link to see some of the highlights from the first week, including a discussion on the budget, the State of the State, visits from District 33 students, and my bill that requires a warrant when law enforcement wants a blood draw. The 2018 Legislative Session Begins! The Session has begun! It’s such an honor to represent the great residents of District 33 at the State Capitol. Lots of work to be done. Please contact me anytime if you have any comments/questions/concerns. Thank you so much for your support! Happy Thanksgiving! 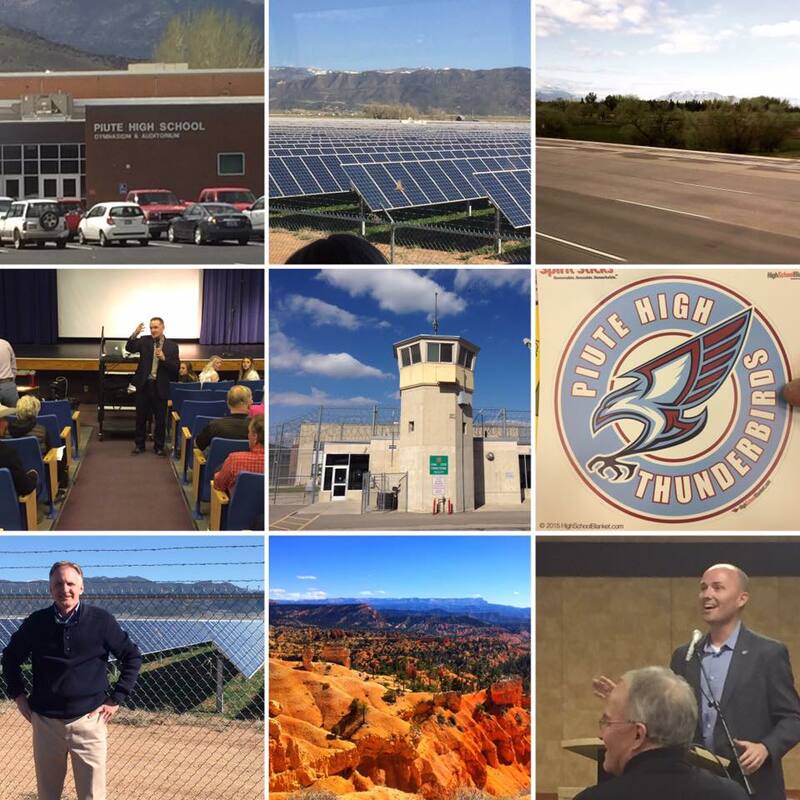 Click on the above link for a summary on November's various legislative and West Valley highlights. 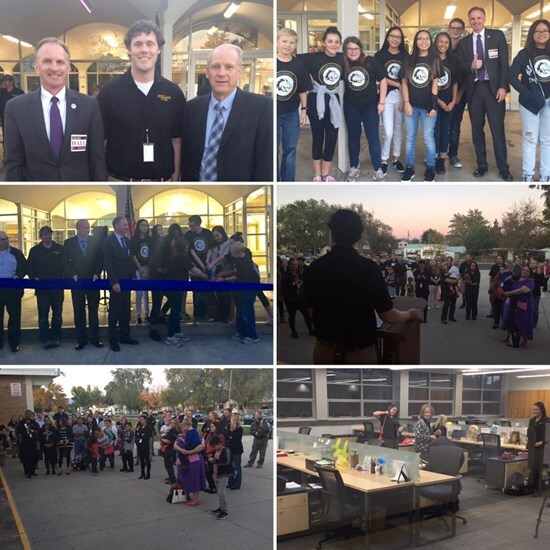 Including the Officer Brotherson Memorial and street-naming, Rep. Hall's blood-draw legislation, the APA Veterans Day program, and a tour of the SLCC Westpointe Career and Technical Education Center! The Holidays are coming! The year is almost over! Where has the time gone?! Thanks again for all your support. 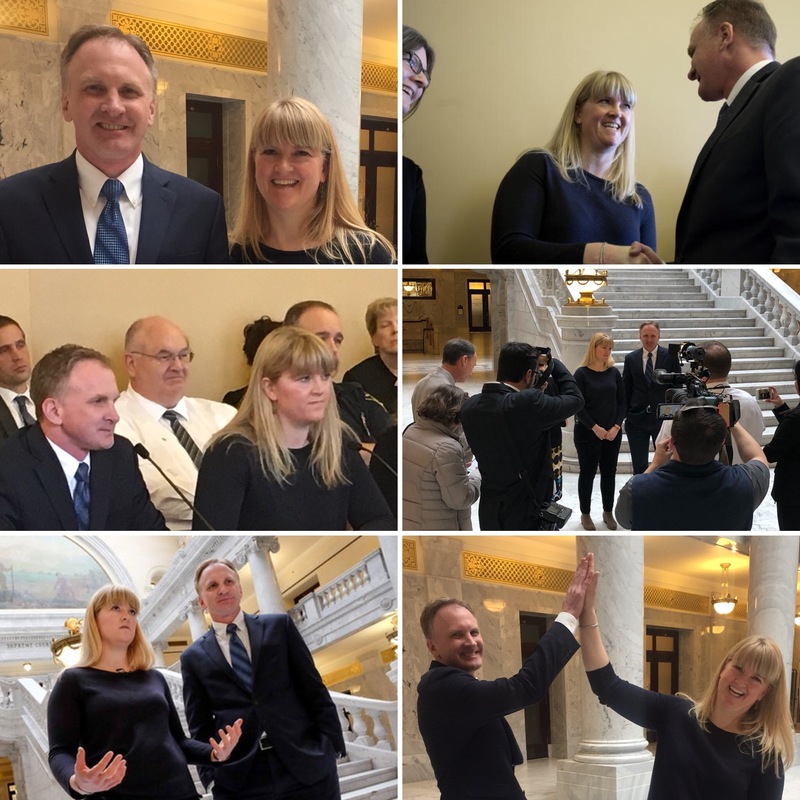 Click on the link above to hear the latest legislative happenings (and other items), including October Interim Session, the Utah Education Association Convention, STEMFest, and Election Day! Fall is here and the year is flying by! 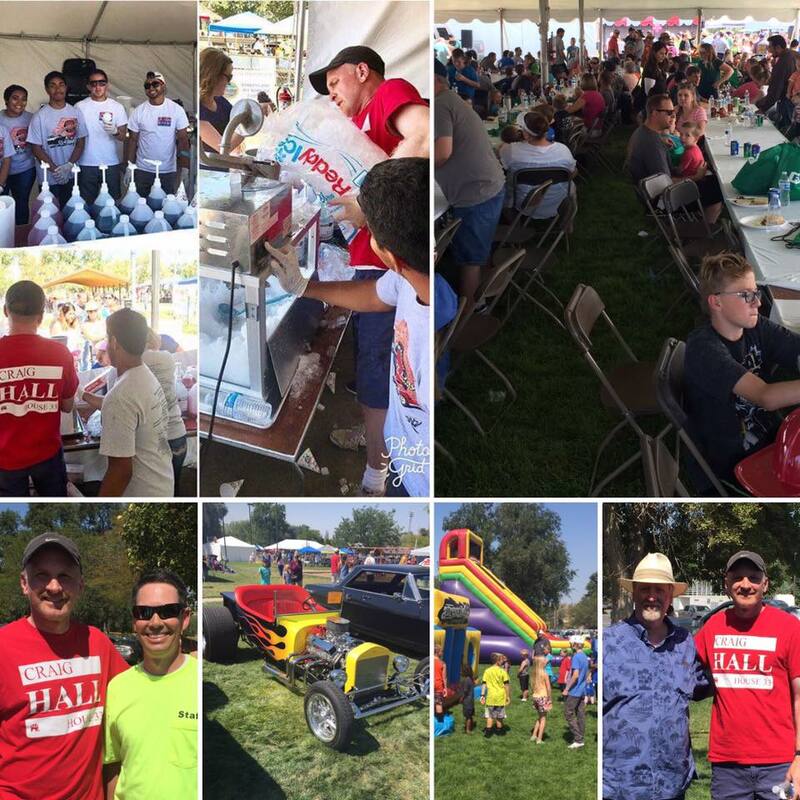 Click on the above link to see all the legislative details from September, including the Special Session, the Labor Day Picnic in Magna (photo below) and upcoming legislation. Feel free to contact me anytime! Thanks for your support! Hope you had a great August! Summer is flying by. 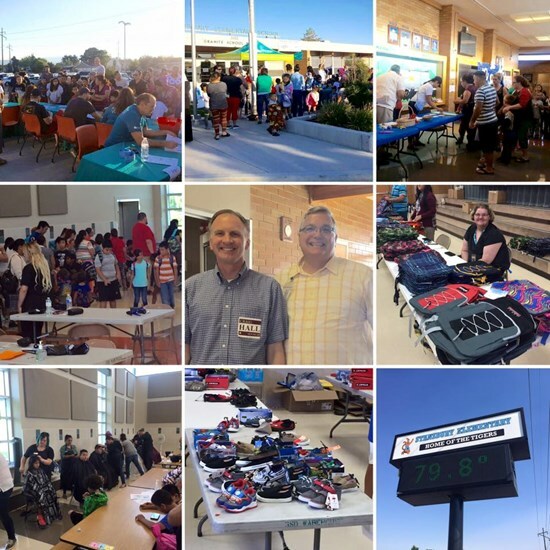 Click on the above link to find out the latest, including items considered by the legislature during our August Interim, Back to School nights, municipal elections, and other community activities! Hope you had a fun and safe July! We had a busy July. Click on the above link to see the details, including the upcoming municipal primary election (Vote!, Vote!, Vote! 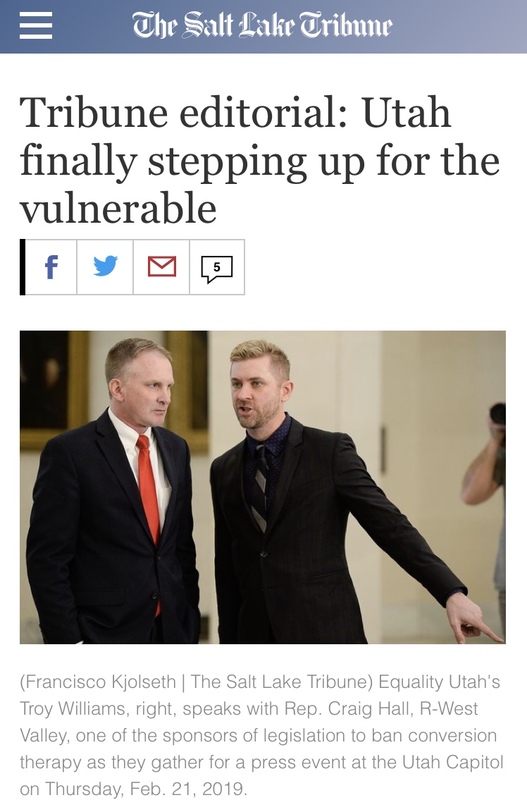 ), national coverage regarding a bill I passed during the 2017 Session, and a non-partisan/non-profit organization regarding the Arts and Humanities grades Representative Hall for his votes during the 2017 Session! Summer is here! Thanks again for your support and for contacting me regarding any issue you would like to discuss. 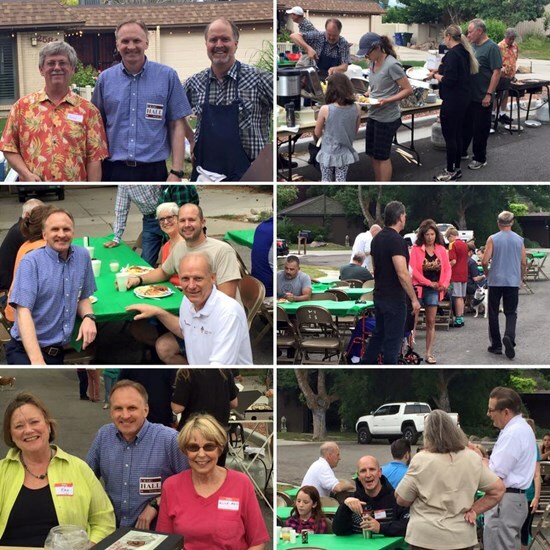 Click on the link to see what happened in June, including WestFest, neighborhood breakfasts, and new bills for 2018. Here comes summer! Thanks again for your support and for contacting me regarding any issue you would like to discuss. 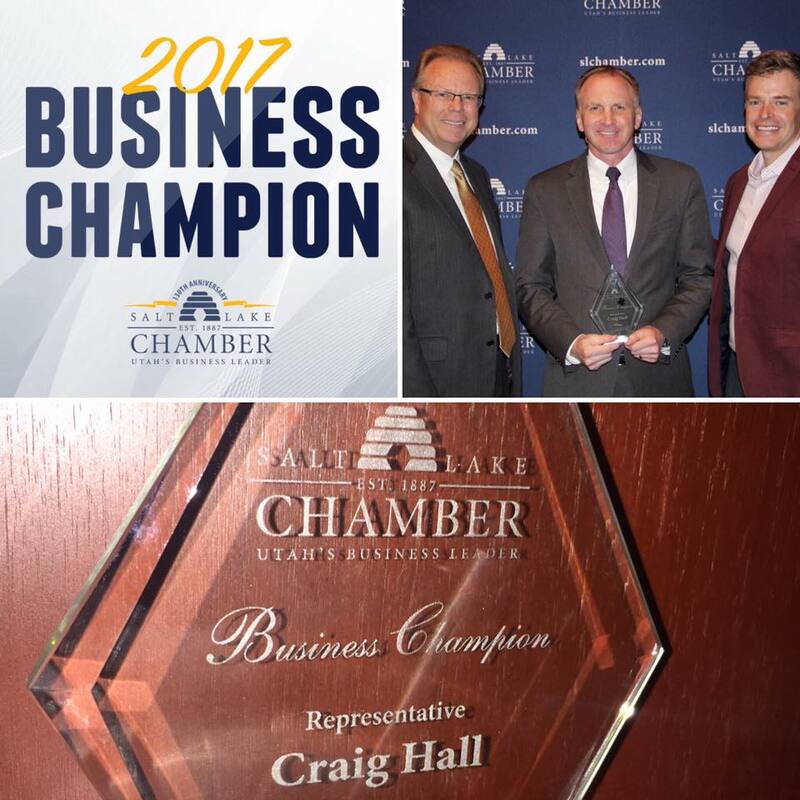 Click the link to find out all the details regarding the May Interim Session, the bipartisan Clean-Air Caucus, ceremonial bill signings, and an award presented to me from the Salt Lake Chamber of Commerce! Hope you're having a great Spring! Thanks again for your support and for contacting me regarding any issue you would like to discuss. I hope these posts are a good resource for tracking the work of the legislature as it continues during this interim period. A lot has happened since the end of the General Session. 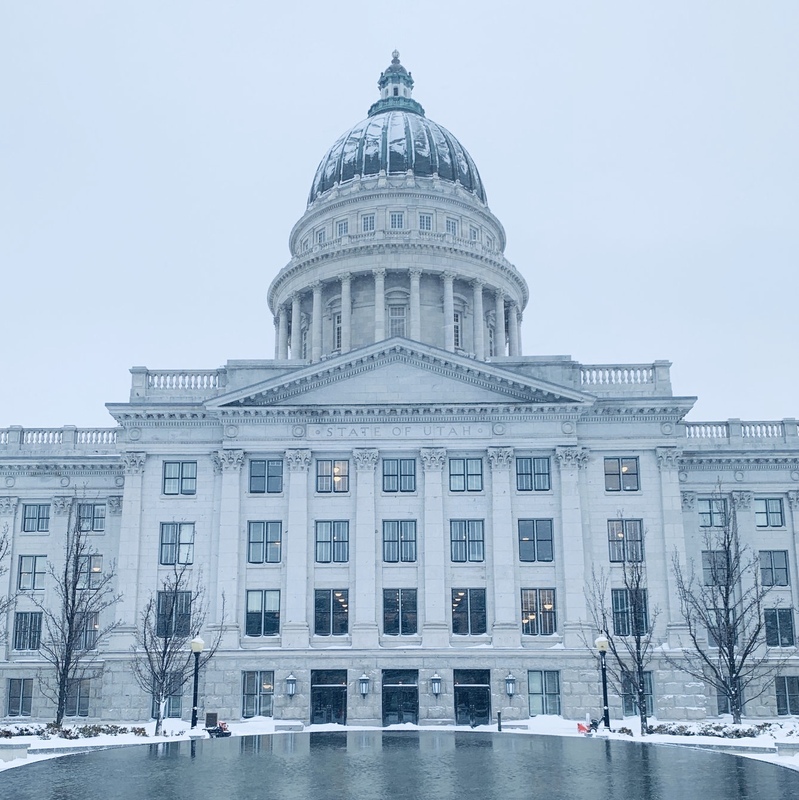 Click on the above link to get all the details regarding the legislature's bus trip to rural Utah, the homeless shelter issue, and other happenings at the Capitol. Click on the above-link to read my correspondence! The 2017 General Legislative Session is complete! Thank you so much for all of your support. It is truly an honor to represent the great residents of District 33. 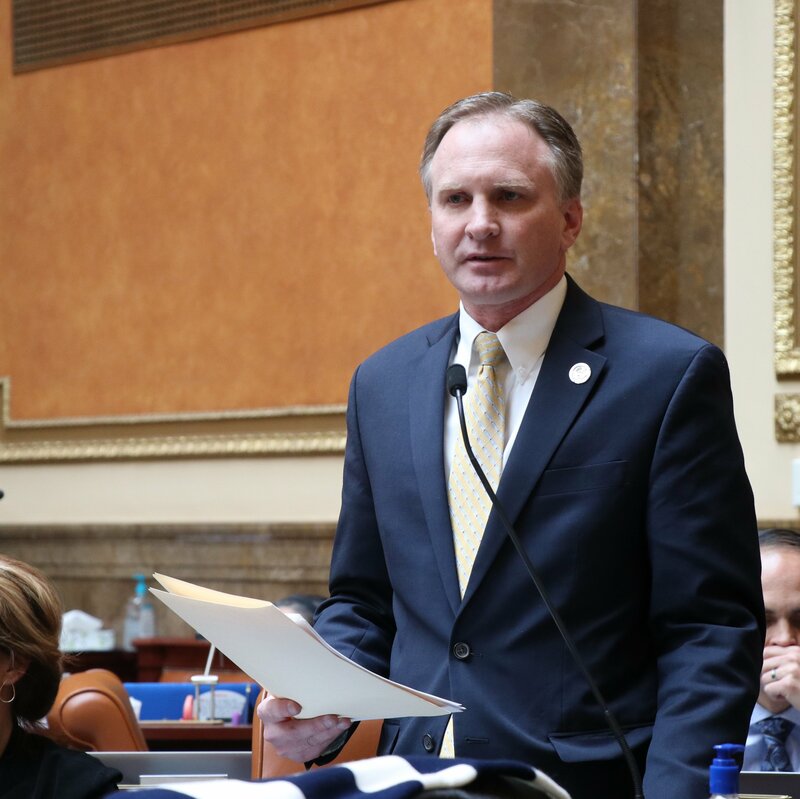 Click on the link to see all the highlights, including the 2017 budget, other important legislation, and what I consider to be the greatest accomplishment of the 2017 Session. 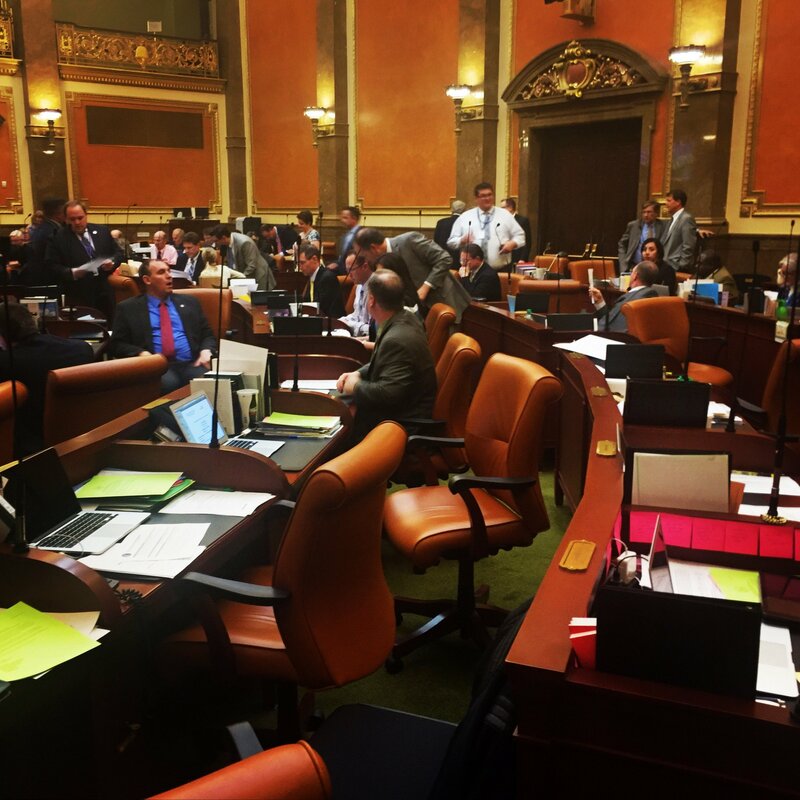 The 2017 General Session of the Utah State Legislature is almost over! Just 4 days left! Thank you so much for all of your support. It is truly an honor to represent the great residents of District 33. Click on the link above to see all the details! 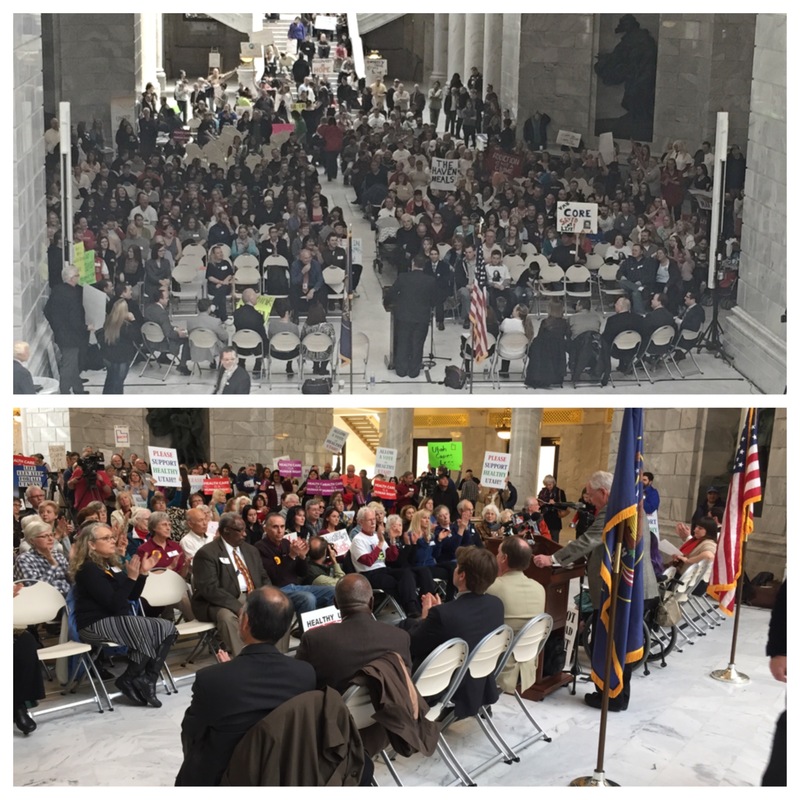 The 2017 General Session of the Utah State Legislature is flying by! Just 11 days left. Thank you so much for all of your support. 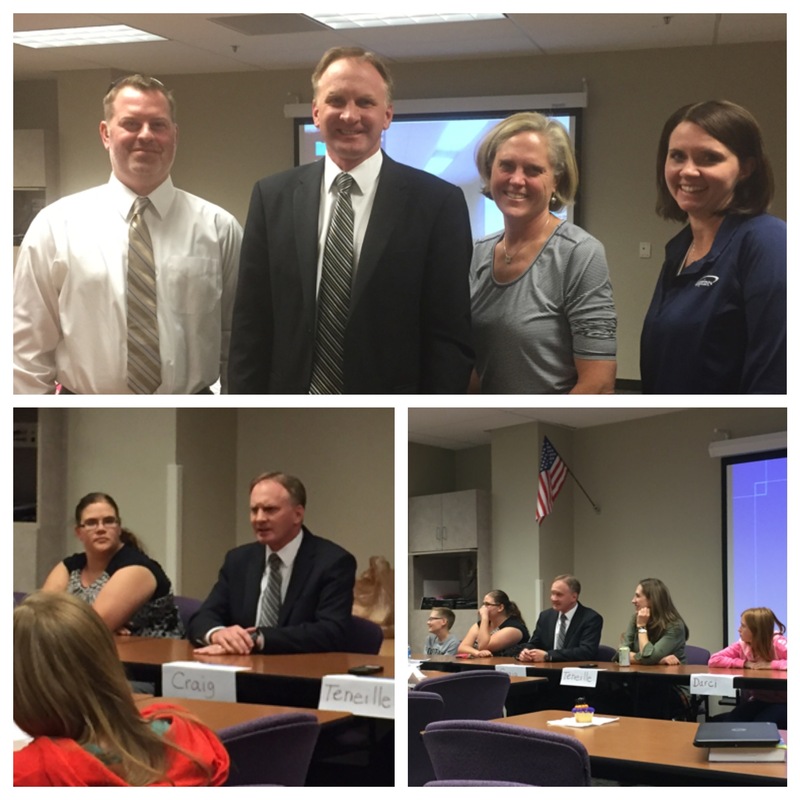 Click on the link to see all the details, including visits from West Valley Fire Department, a visit from the PTA, and a list of 2017 bills that are making their way through the process. The 2017 General Session of the Utah State Legislature is more than half-way done (less than 3 weeks left). Thank you so much for all of your support. It is truly an honor to represent the great residents of District 33. 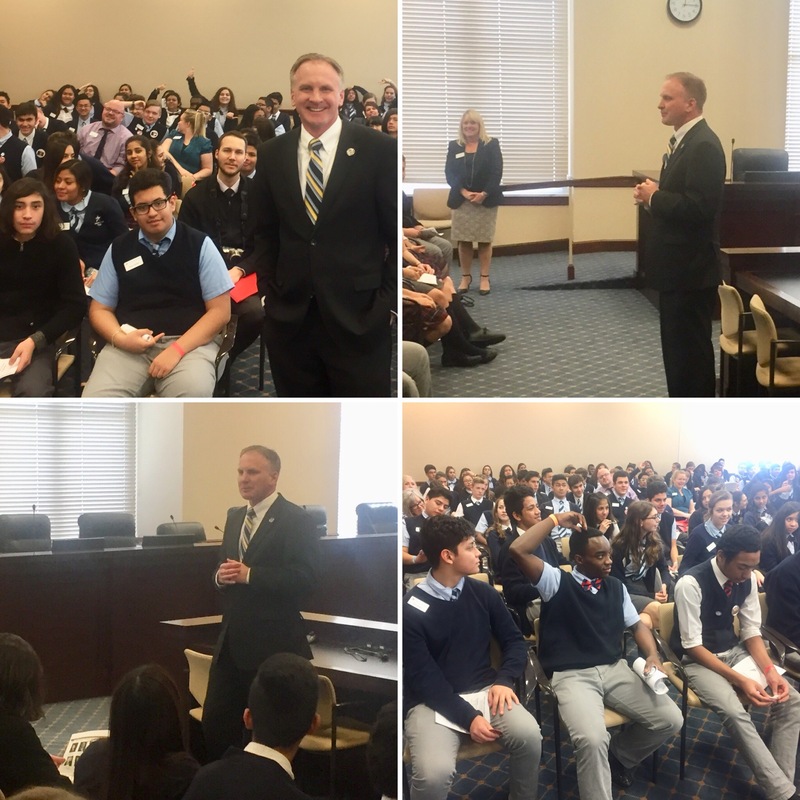 A few highlights from the week include visits to the Capitol (including students from Granger High School), Arts Day on the Hill, Rep. Hall and Mayor Bigelow advocating for West Valley together, and further legislation (including Rep. Hall's bills). 2017 Legislature - Week 3 Summary! 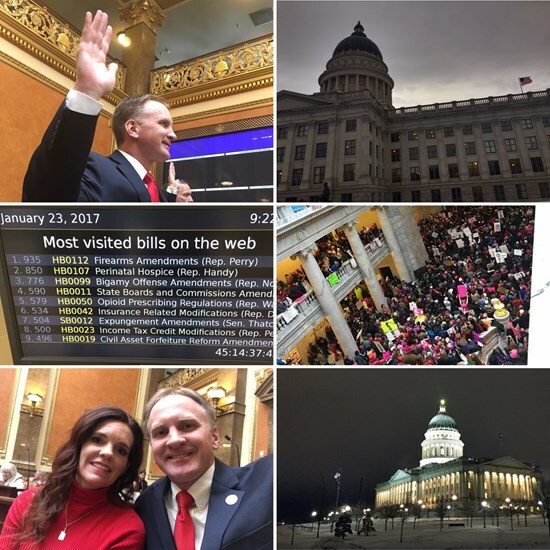 Week 2 of the 2017 General Session of the Utah State Legislature has come and gone. Thank you so much for all of your support. It is truly an honor to represent the great residents of District 33. 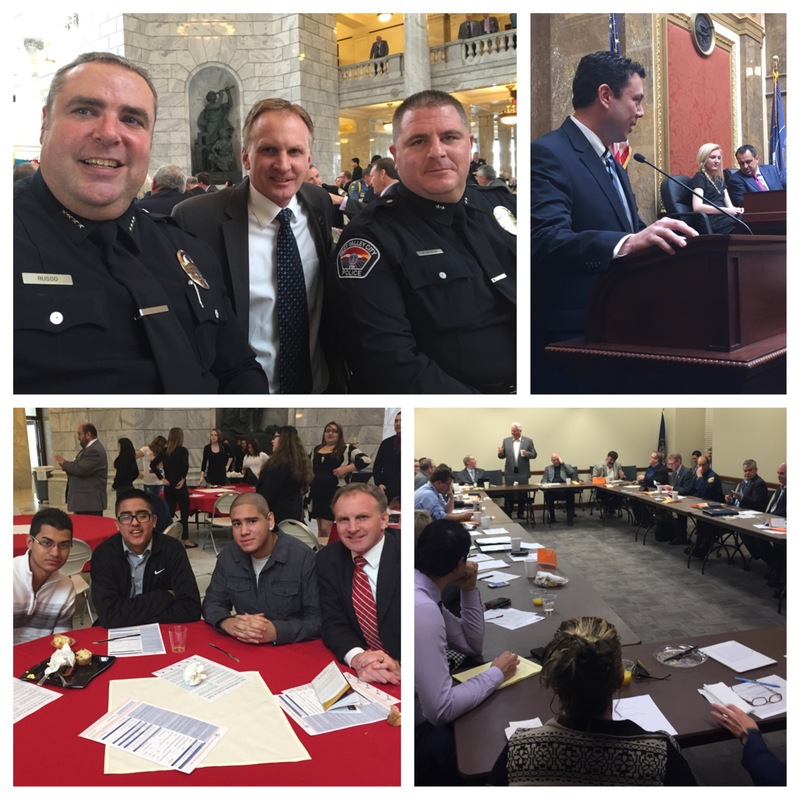 Click on the link to see a few highlights from the week, including visits from law enforcement, constituent surveys, and current legislation. Week 1 of the 2017 Legislative Session is in the books. 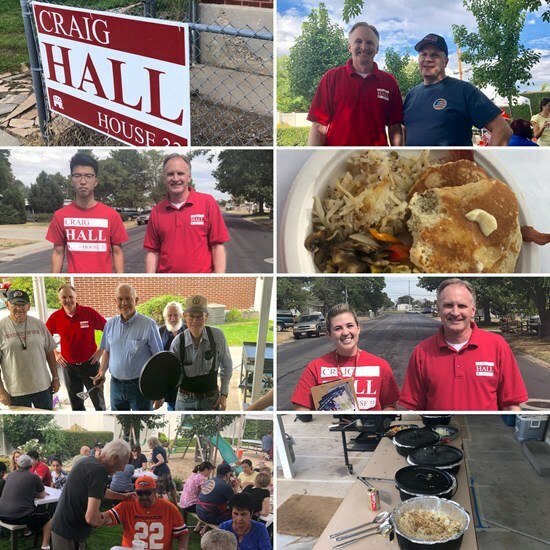 Click on the link above for all the details, including the budget, the State of the State, Rep. Hall's legislation, visits to the Capitol, voter surveys, Rep. Hall's visits to the local schools, and more! Thanks for all your support! September's Interim Session was eventful. 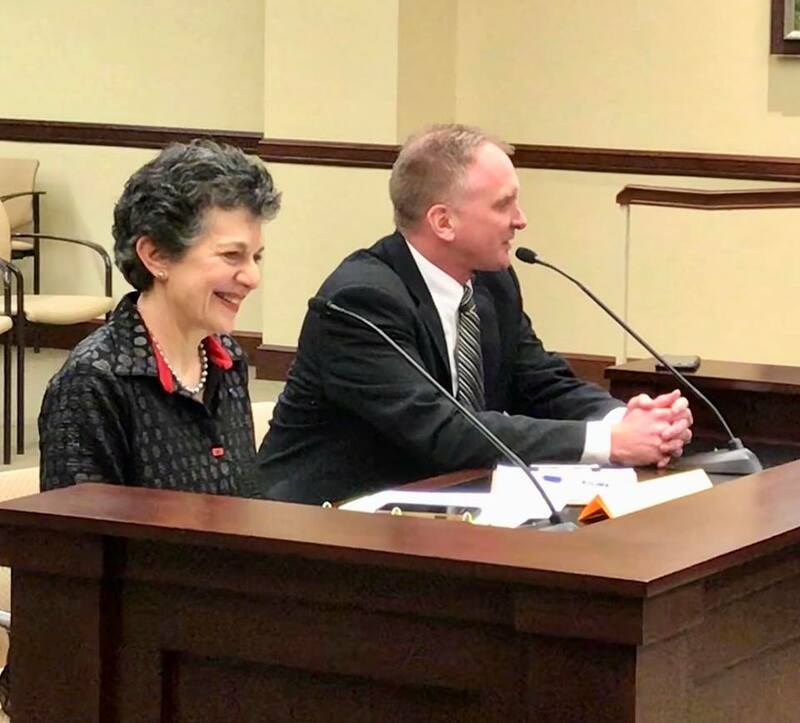 The legislature discussed topics including education, the state earned income tax credit, reducing opioid overdoses in Utah, improving air quality, UDOT, etc. Click on the link above for the details. AND, it's ELECTION SEASON! Thanks again for all your support! 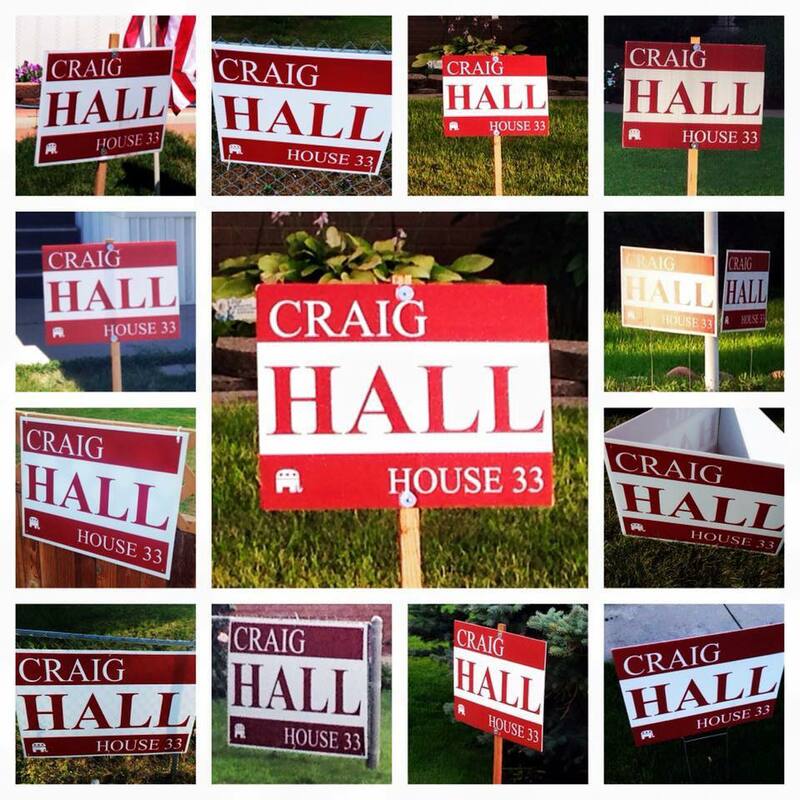 VOTE CRAIG HALL!!! So humbled to receive the endorsement of the Utah AFL-CIO. 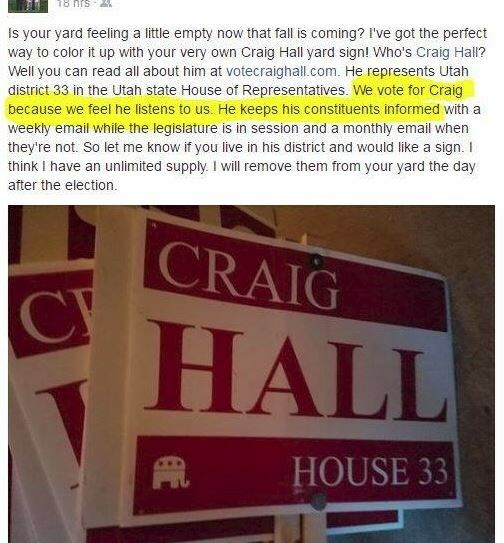 OUT OF THE TWO CANDIDATES IN THIS RACE, THE UTAH AFL-CIO CHOSE CRAIG HALL! 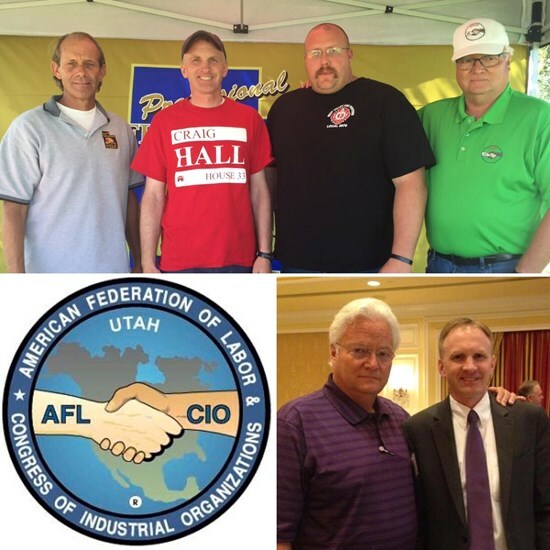 The Utah AFL-CIO represents the interests of working families, and is an umbrella organization for dozens of employee groups in Utah, including steelworkers, fire fighters, letter carriers, railroad workers, electrical workers, etc. Hope you had a fun and safe August! Lots of things happening in August! 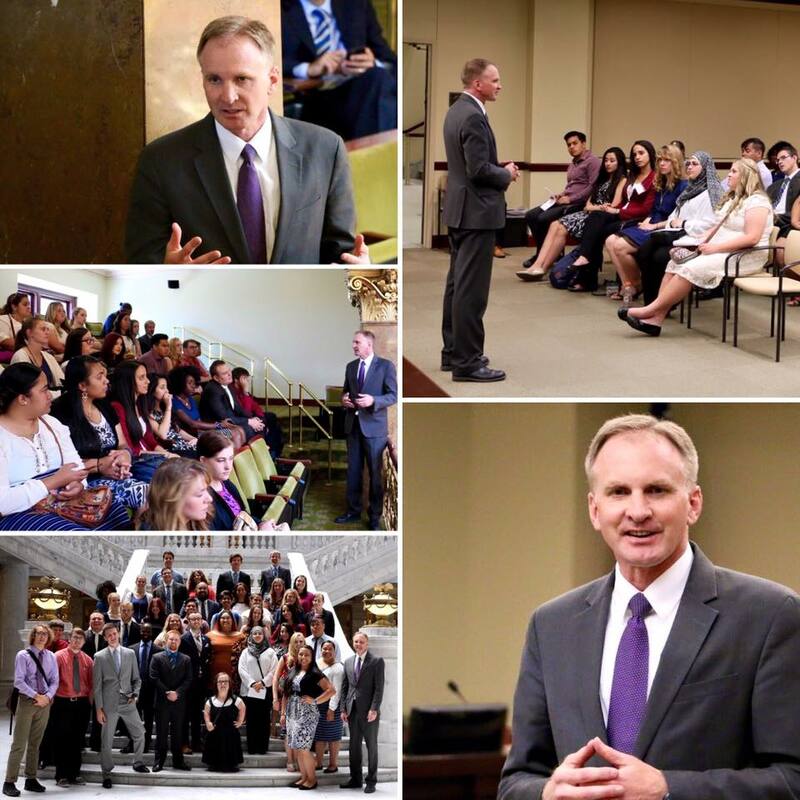 Visit to the Capitol by SLCC students, neighborhood breakfasts, service projects at a local elementary school, bipartisan softball game, and LOTS of campaigning. Thanks again for your support and for contacting me regarding any issue you would like to discuss. Click on the above link to see all the details from July, including the Interim and Special Session. Also, Election Day is less than 100 days away! It has been such an honor representing the great folks of District 33. I would be humbled to serve my neighbors for another term at the State Capitol. 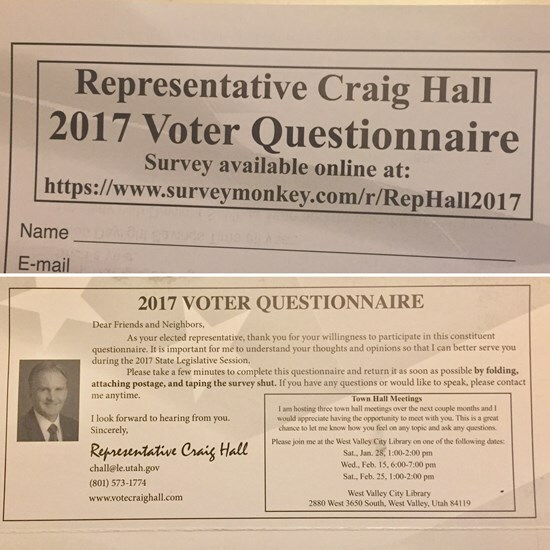 VOTE CRAIG HALL! 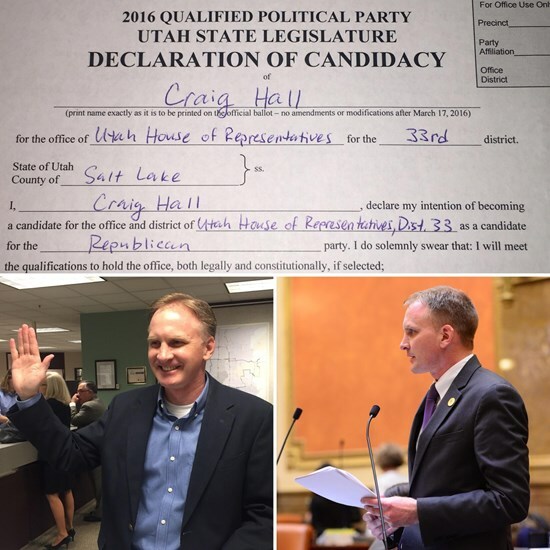 Rep. Hall's June 2016 Legislative Summary! Summer is here! Click on the above link to see the latest. 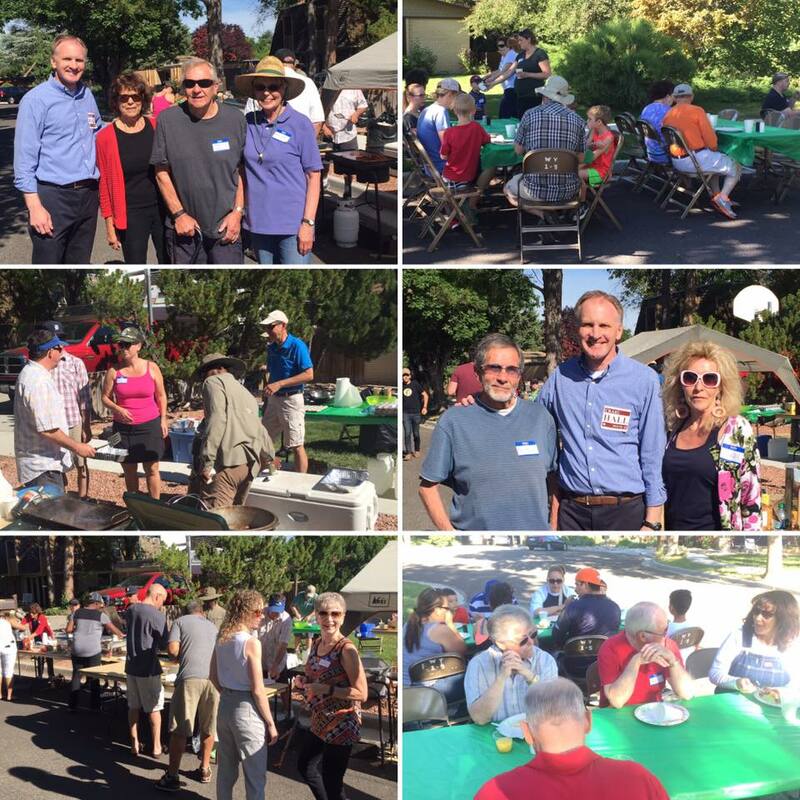 It was so great to visit with so many of our neighbors during the month of June at such events as the Westshire Neighborhood Annual Breakfast, and WestFest (including the 5k/10k Fun Run where our campaign sponsored a water station). Here comes summer! Lots of exciting things happening during the month of May, including scholarship presentations to two wonderful District 33 high school seniors (photo below), ""Business Champion" award given to Rep. Hall, Teacher Appreciation Day, jr. high school awards ceremony, etc. Click on the link above to get all the details. As always, feel free to call/email me anytime! Lots of things happening in April! 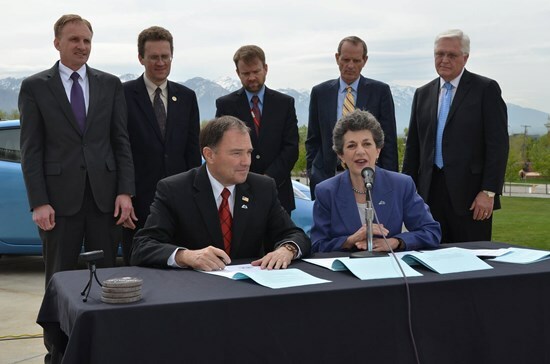 Click on the link above to see the latest, including a ceremonial bill signing for one of Rep. Hall's bills (photo below), thank you notes to Rep. Hall from Dist. 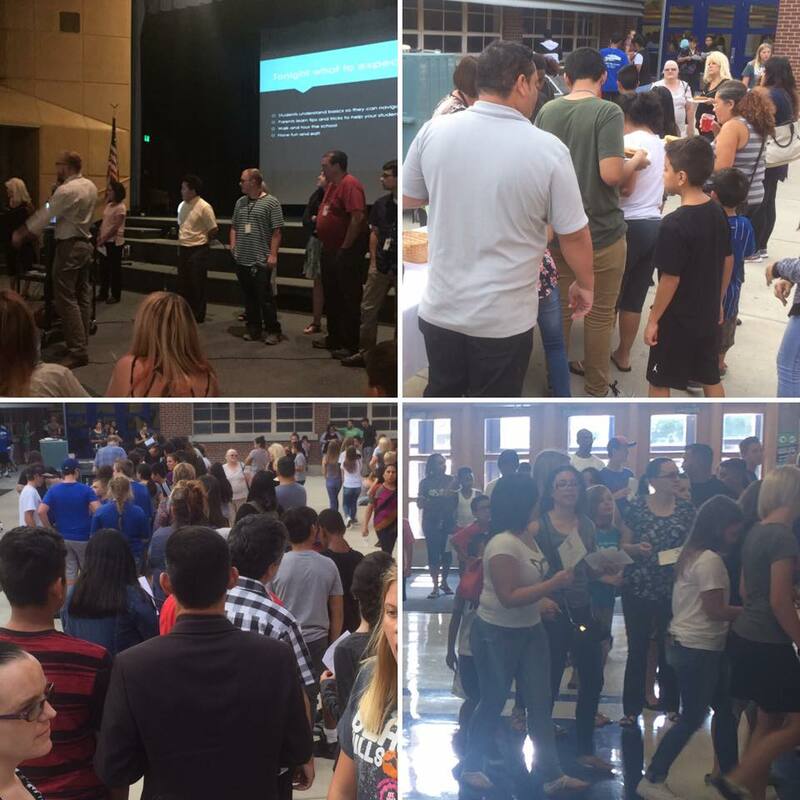 33 teachers, and the latest on the re-election campaign! 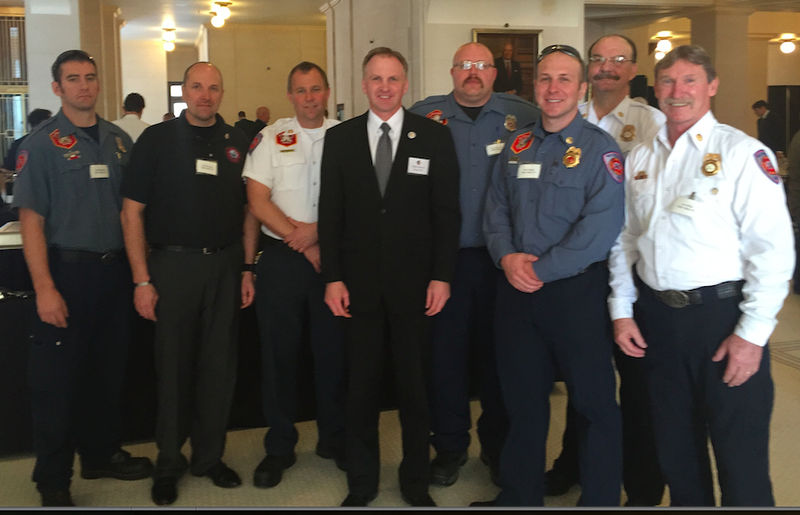 The 2016 General Legislative Session is complete! Thank you so much for all of your support. It is truly an honor to represent the great residents of District 33. 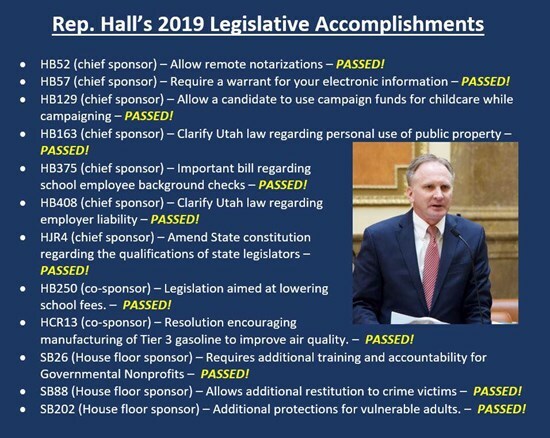 I had several pieces of legislation and accomplishments this Session that helped make Utah and West Valley City a better place to live, work, and raise a family..... including in the following areas. Click on the above link to see the details! Week six is in the books. Just four days left! Thank you so much for all of your support. Lots of things happening this last week, including the prayer (offered by WVC Life Church Pastor Sid Casillas) and pledge to open the House of Representatives being given by District 33 constituents (photo below), a visit from Mayor Bigelow, and lots and lots of voting on bills. Click on the above link for the details! 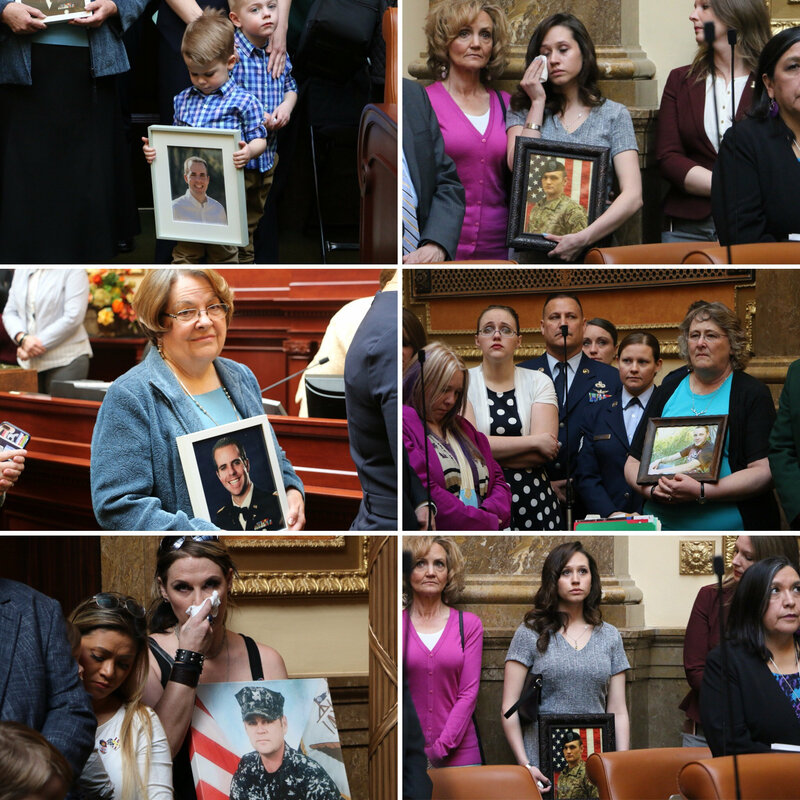 Honoring soldiers from Utah that died while in service over the last year, teachers visiting the Capitol, town hall meetings, and lots and lots of bills. Click on the above link for all the details. Here's a photo of Rep. Hall passing one of his bills this last week! Time is flying. Week four (out of seven) is all wrapped up. 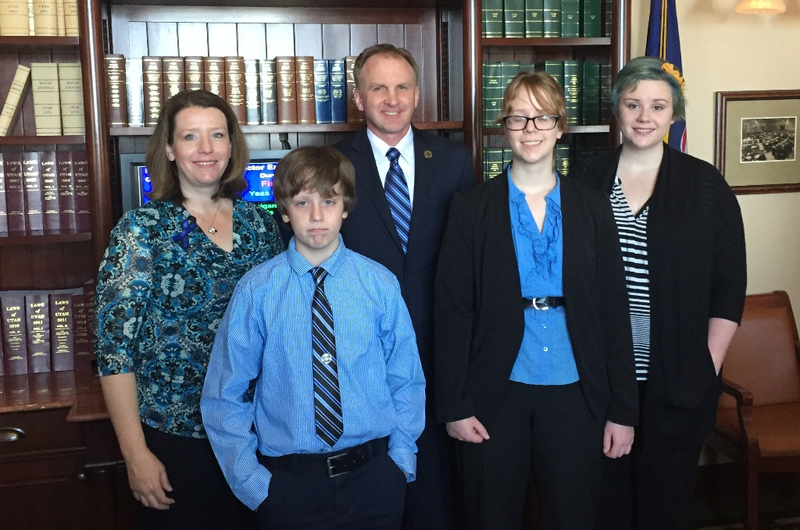 Lots of good stuff happening at the Legislature, including honoring the family of Officer Doug Barney (photo of family below), a West Valley resident who died in the line of duty in January. 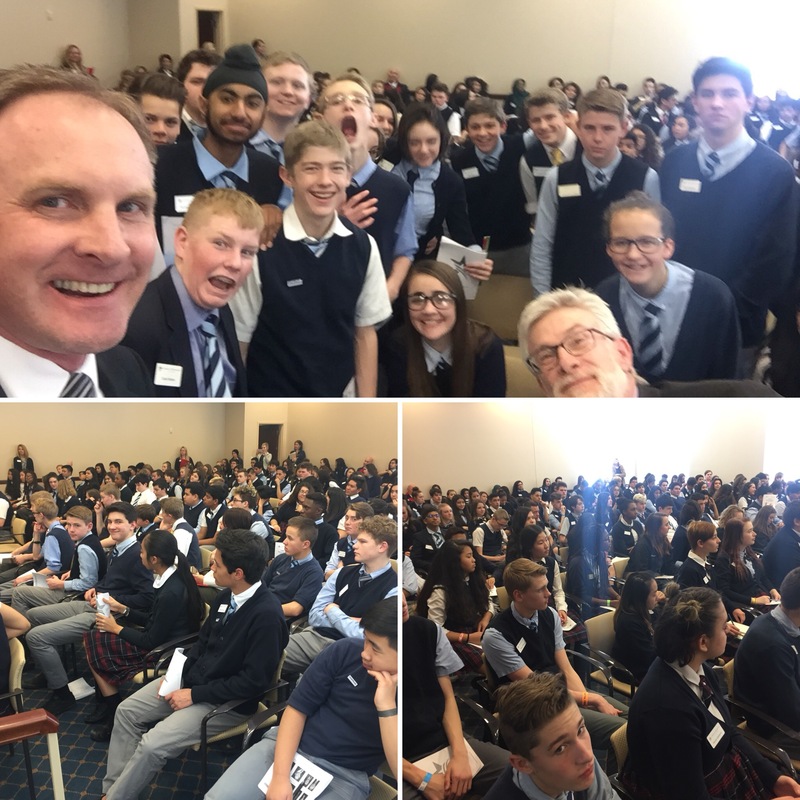 Click on the link to learn more about Week 4, including overall legislative action, the status of Rep. Hall's bills, student visiting the Capitol, and town hall meetings! Time is flying. Three weeks down. Less than four weeks to go. Click on the above link to see this week's details. Thanks to the West Valley Fire Dept. for visiting the Capitol! Week 2 is in the books. 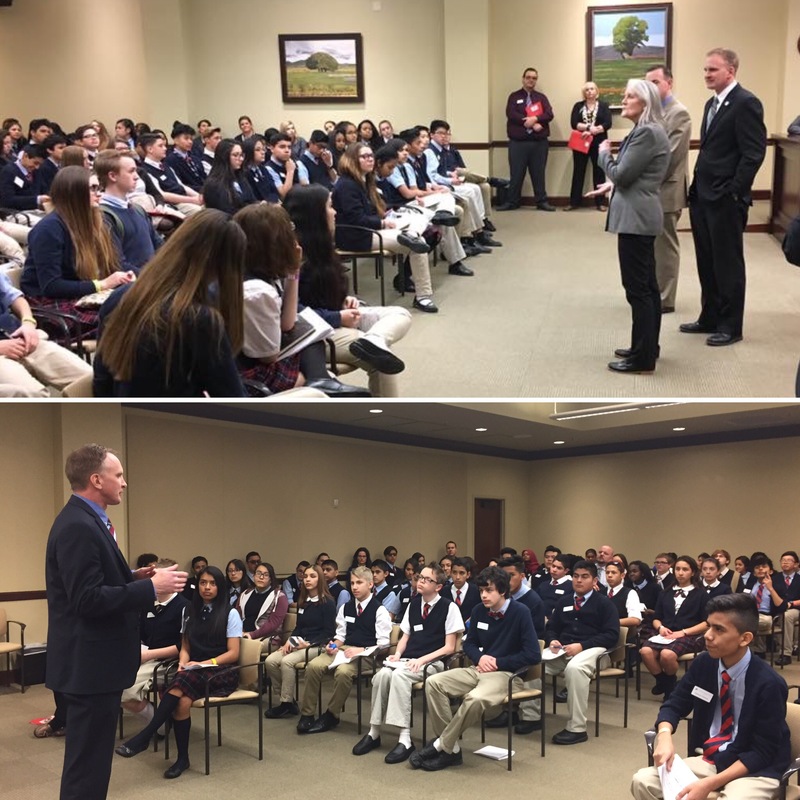 Click on the link to read more about our bipartisan clean-air caucus press conference, students visiting the Capitol, Rep. Hall's legislation and more! The 2016 legislation session has begun! 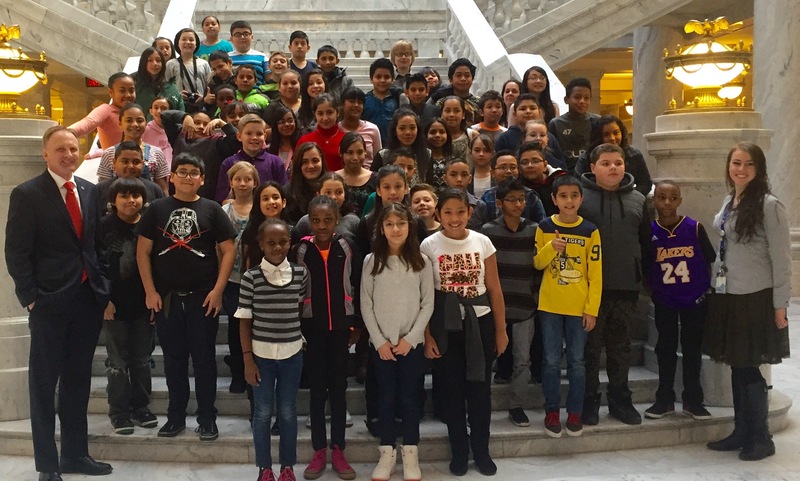 Click on the above link to find out all the details regarding special events at the Capitol, Rep. Hall's legislation, a visit by Granger Elementary, etc.! 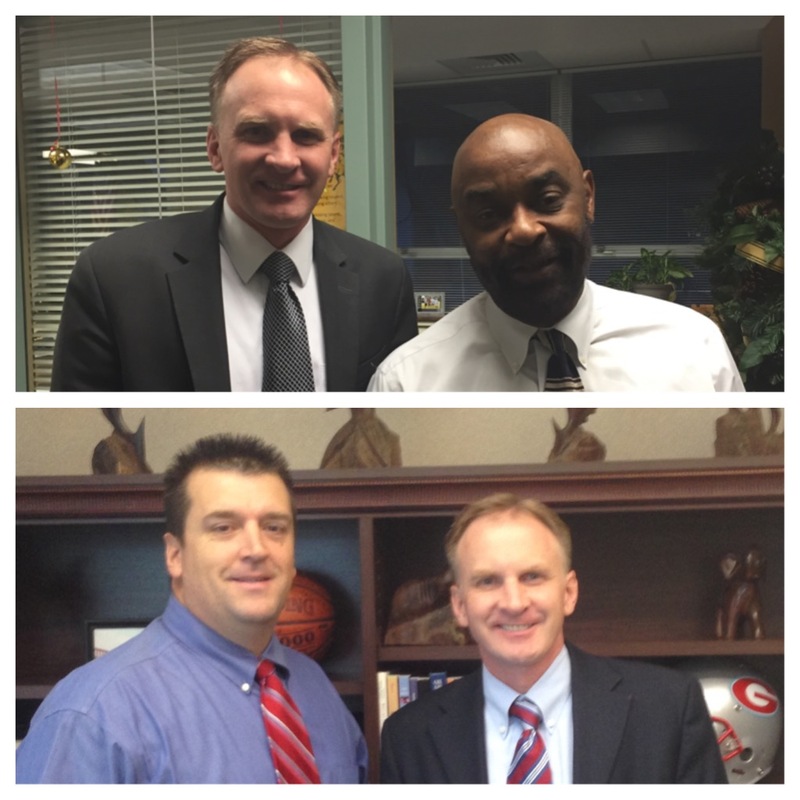 Great things happening in West Valley in November. I was fortunate to be a part of some of them. 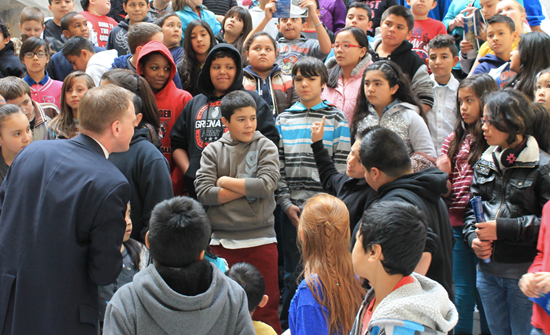 Visits to schools, giving away free food for Thanksgiving, November legislative meetings, etc. Click on the above link to learn the latest! October has come and gone. 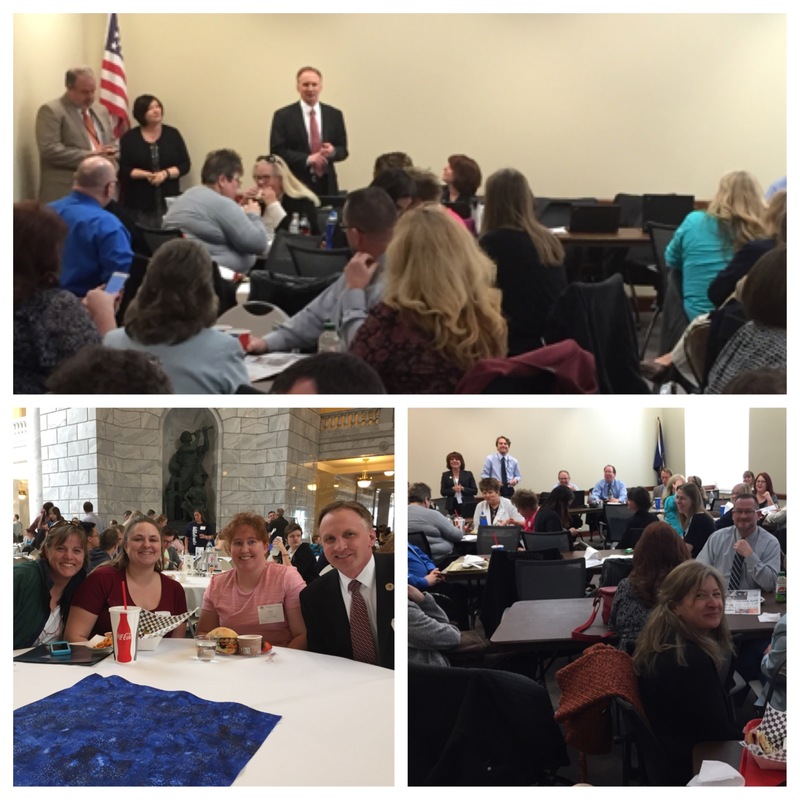 Thanks to all the groups I was able to meet with this last month (including Granite School District teachers - see photo below)! Click on the link above to see more of what I have been working on over the last month, and what the state legislature is discussing in preparation for the upcoming 2016 general session! The work during the summer/fall continues. Hopefully you had a great summer! 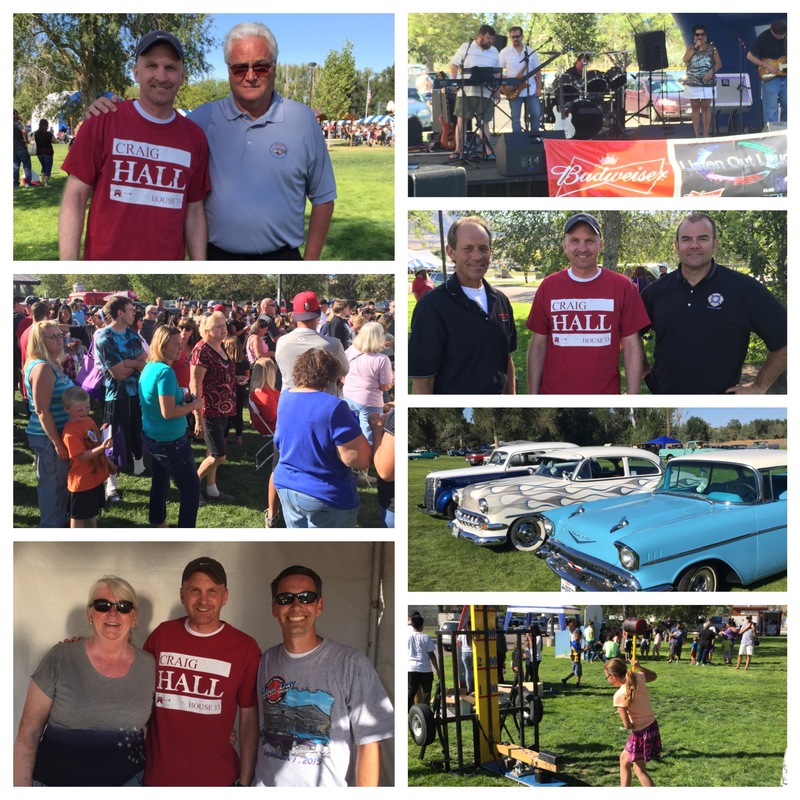 Click on the link above to see some of the great events I was able to attend and the work the legislature is working on! August Interim and Special Session! Topics from prison relocation, police body cameras, medical marijuana and more were discussed. Click on the above link for all the details! Summer is flying by! 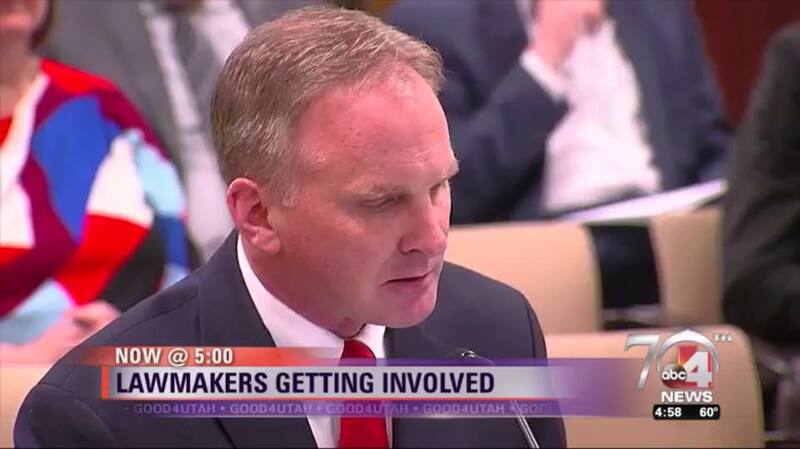 Click on the link above to see the latest goings-on with the Utah State Legislature, including topics such as selection of school board members, allowing Tesla to sell within the State, medical marijuana, air quality issues, etc.! Thanks for your support. As always, feel free to contact me anytime. Hopefully your summer is going well and is full of backyard barbecues, family reunions, ice cream, hikes in our beautiful mountains, and spending time with those you love. I hope these reports are a good resource for tracking the work of the legislature as it continues during this interim period. Click above for the full report! May has come and gone! The legislature had its first interim session of 2015. 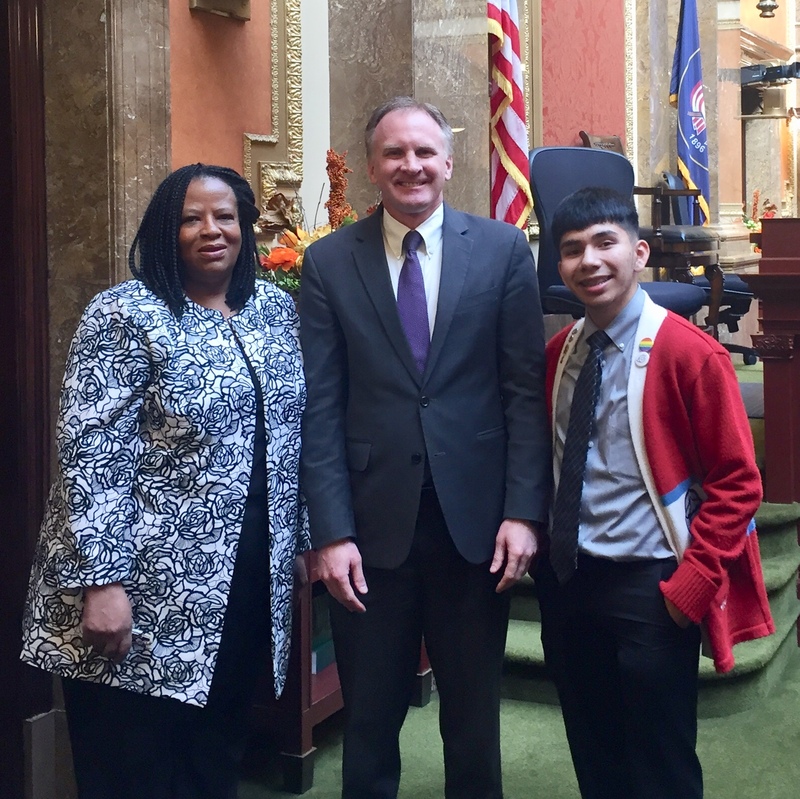 We discussed various topics, including what education should look like in the year 2050, air quality, UDOT, and medical marijuana! Click on the link above to read all the details. 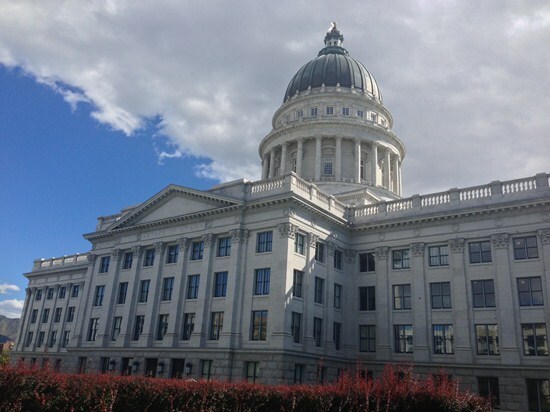 It has been almost two months since the end of the 2015 general legislative session. Click on the above link to see some examples of what the legislature does during the rest of the year. 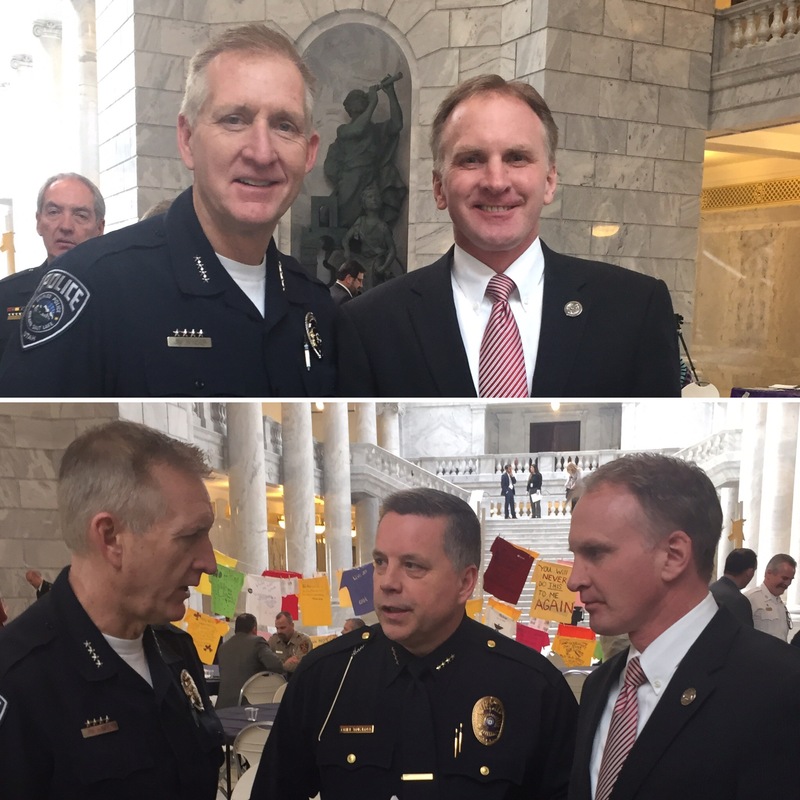 The 2015 Utah general legislative session is in the books. On March 12, at midnight, we finished our work. Needless to say, things went fast and furious this last week. Thank you so much for all of your support. It is truly an honor to represent the great residents of District 33. Click on the link above for some highlights from the last week. Only 4 days left!!! We have finished 41 days, and there's still a lot of work ahead. 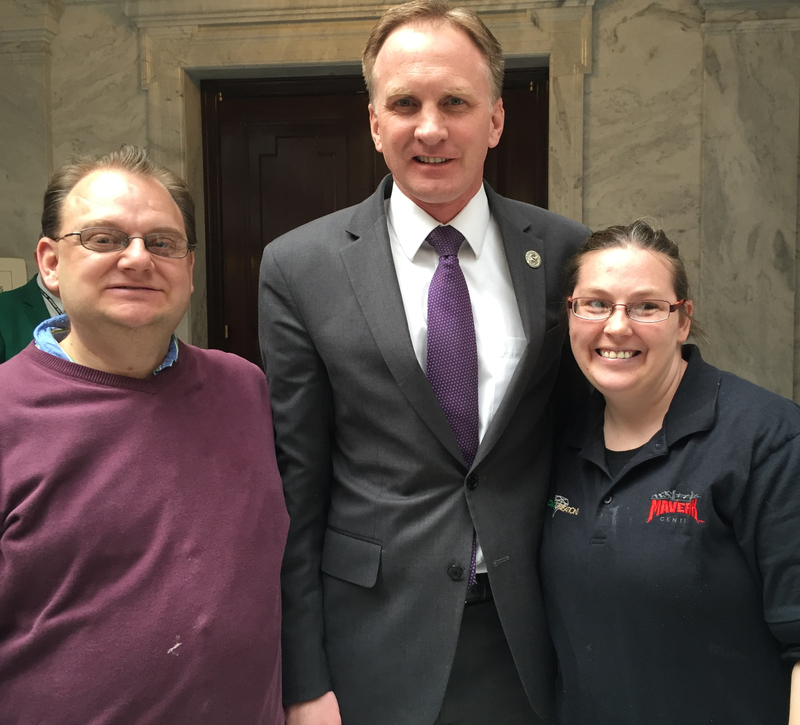 Click on the above-link to see the latest at the Capitol. Week 5 is complete! 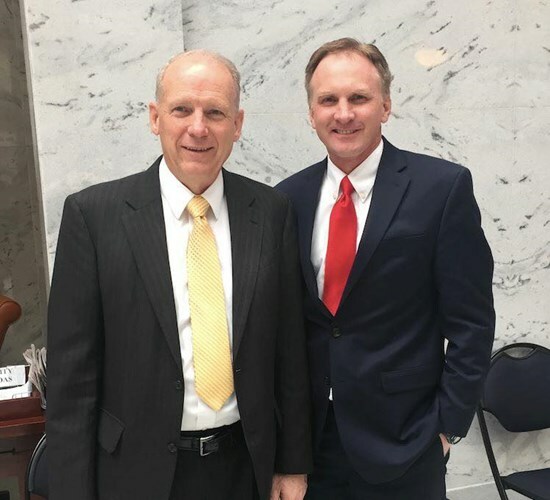 Click on the above link to get more information on Rep. Hall''s legislation, other important bills being considered, Healthy Utah, and more! 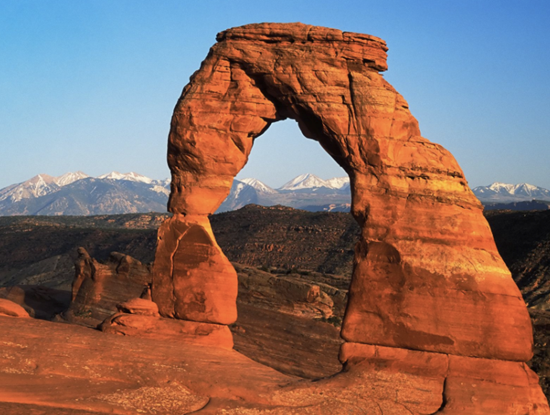 17 days until the end of the Utah Legislative Session. We have done a lot of work so far, but much of the heavy lifts are still to come. Click on the above link to read many of the details from Week 4. We just finished Week 3. 21 days done. 24 days to go. Click on the link above for the highlights. 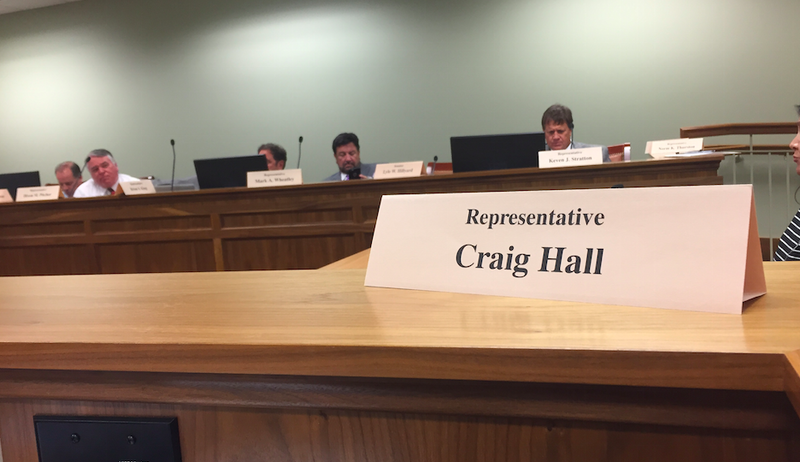 Week 2 of the 2015 Utah State Legislative session is in the books. Click on the above link to see the details. 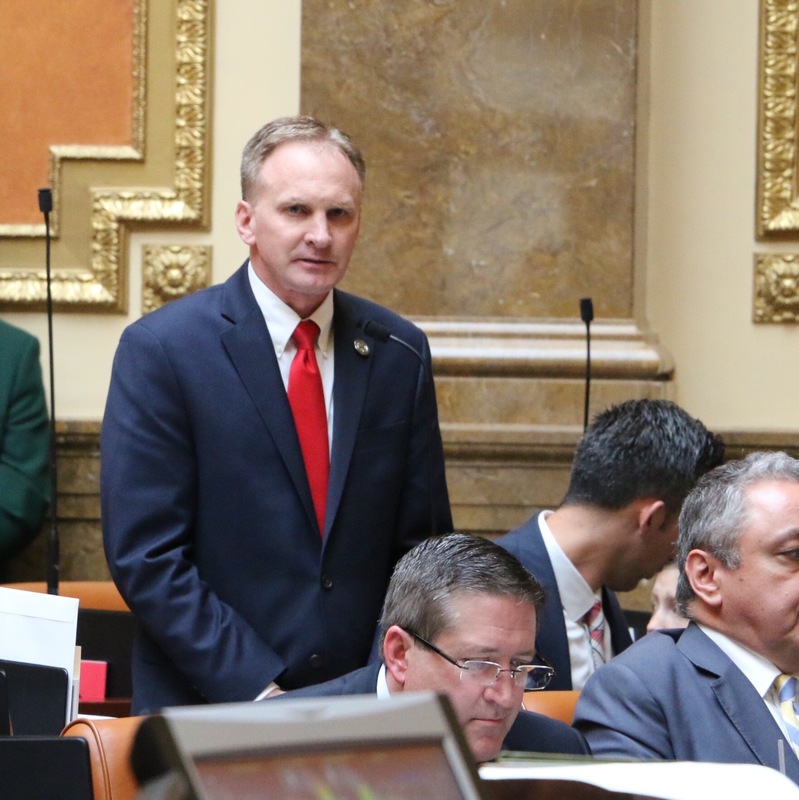 The 2015 General Session of the Utah State Legislature began on Monday, January 26. Thank you so much for all of your support. It is truly an honor to represent the great residents of District 33. 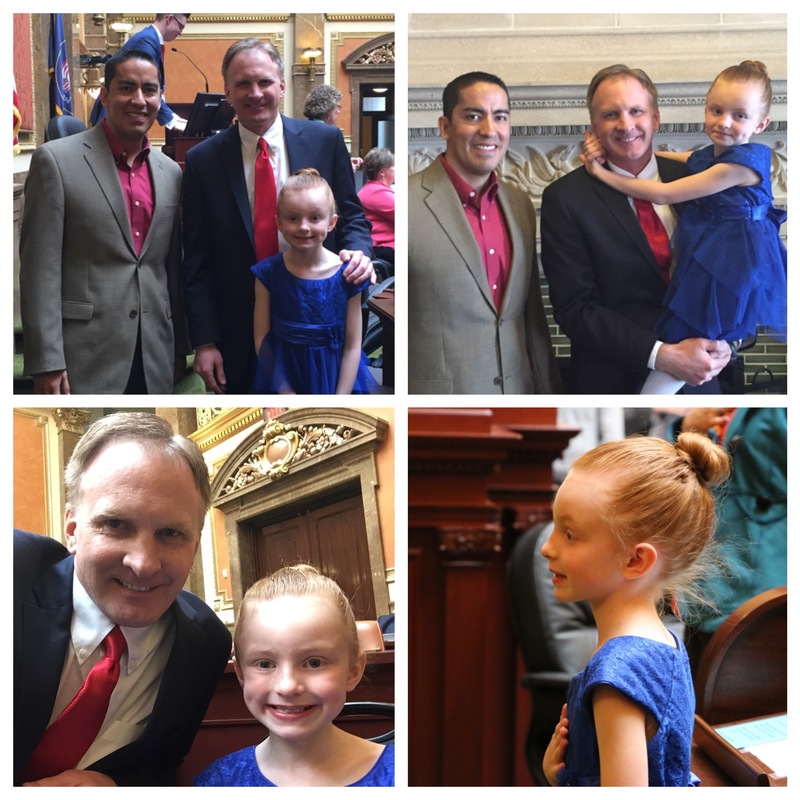 Click on the above link to see the highlights of the first week of the state legislature. I just wanted to reach out and wish you a Happy Thanksgiving. I have many things to be thankful for. One of which is the privilege of serving you as your state representative. It is truly an honor to serve. Thanks again for all your support. And Happy Thanksgiving to you, your family, and to those that you love. Click on the link above to see the highlights from the November Interim Session, Rep. Hall's "District 33 School Tour" and all about the chance I had to help give out 250 Thanksgiving turkeys! 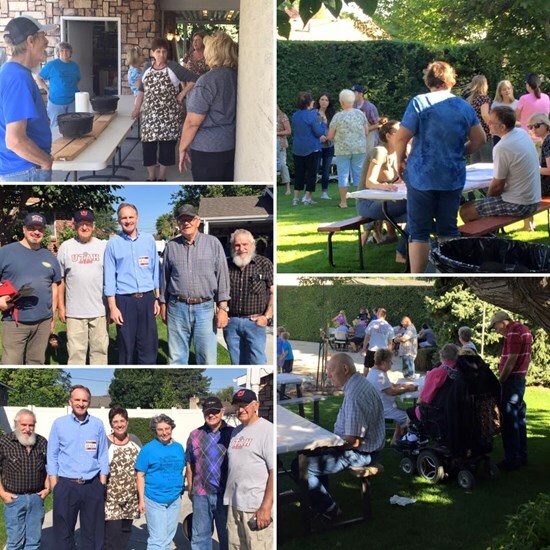 While on the campaign trail, I continually hear people say that they're tired of the bickering and it sure would nice if the legislature would just "get things done." This is indeed one of my guiding principles as a legislator. 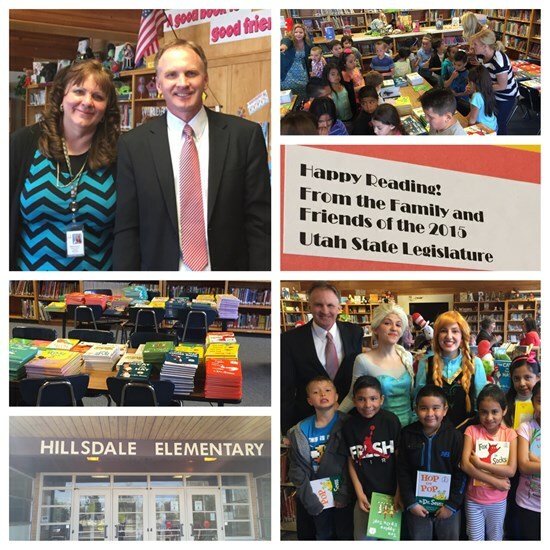 I attach the below photo from a Salt Lake Tribune article that praised me as "refreshing" and a "healthy" ... "example of bipartisanship." 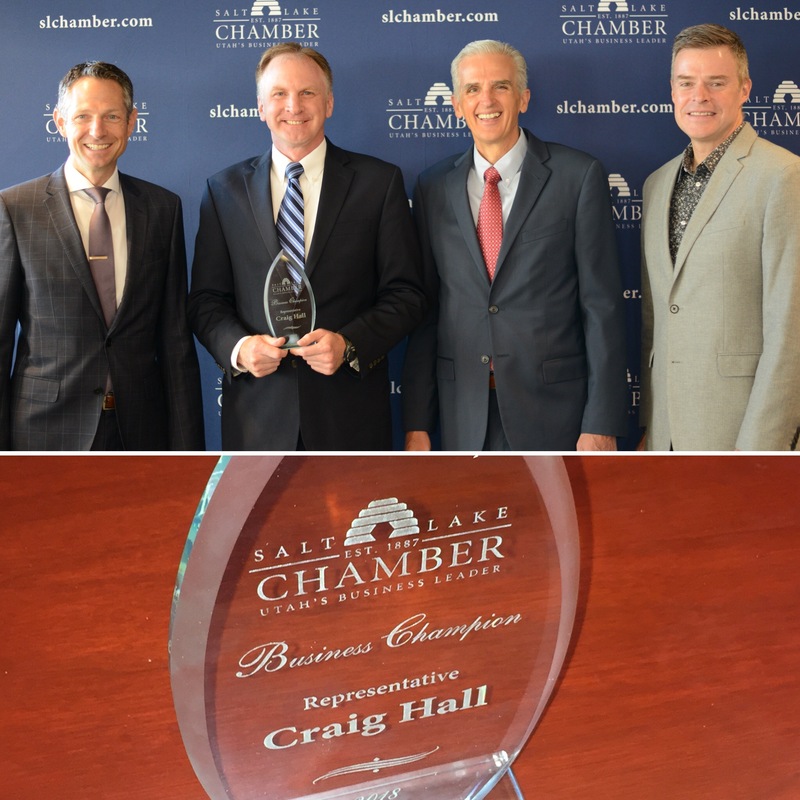 I am grateful to be recognized as a "get things done" legislator. One who works with all interested parties to improve the lives of those who live within District 33. 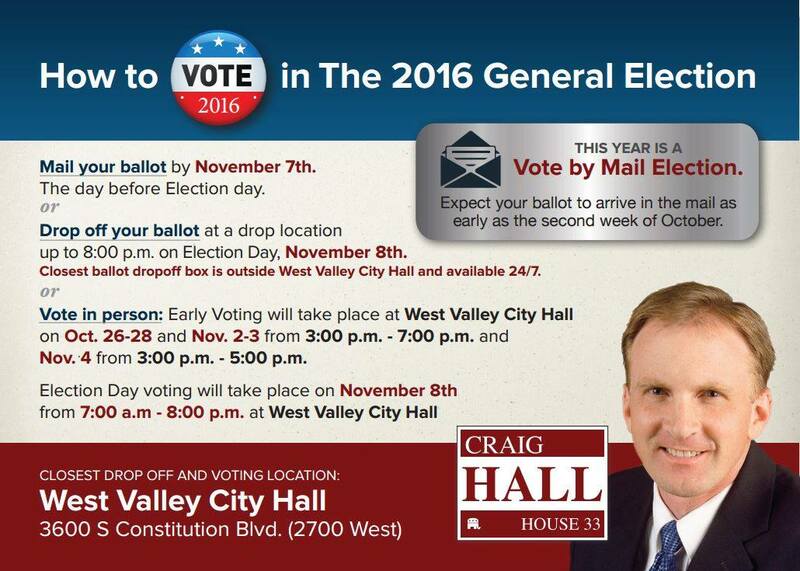 Vote by Mail Ballots are in the Mail! 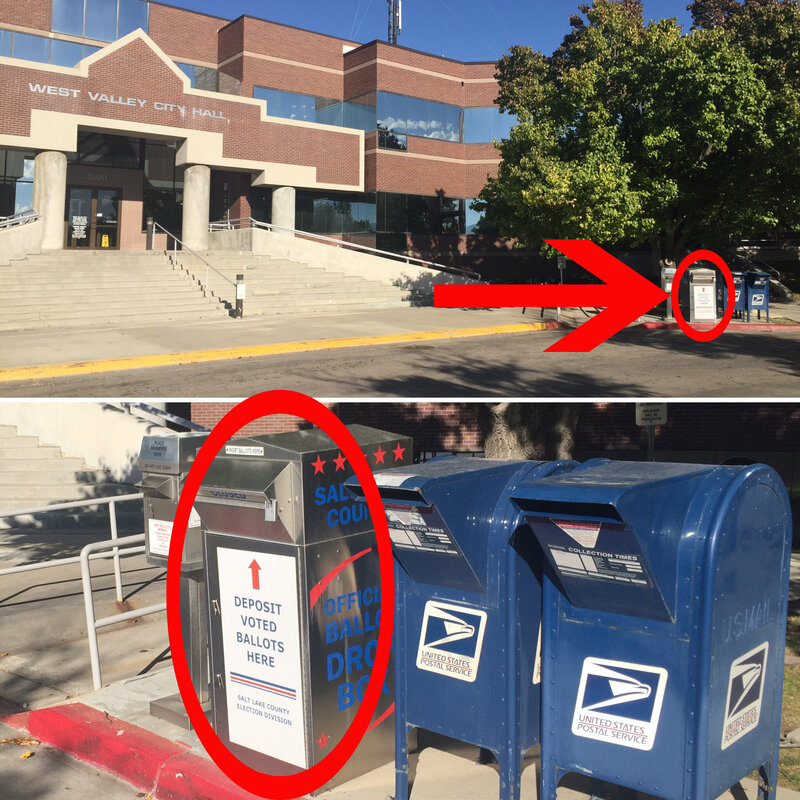 For those of you signed up to vote by mail, your ballot may have arrived as early as last week. 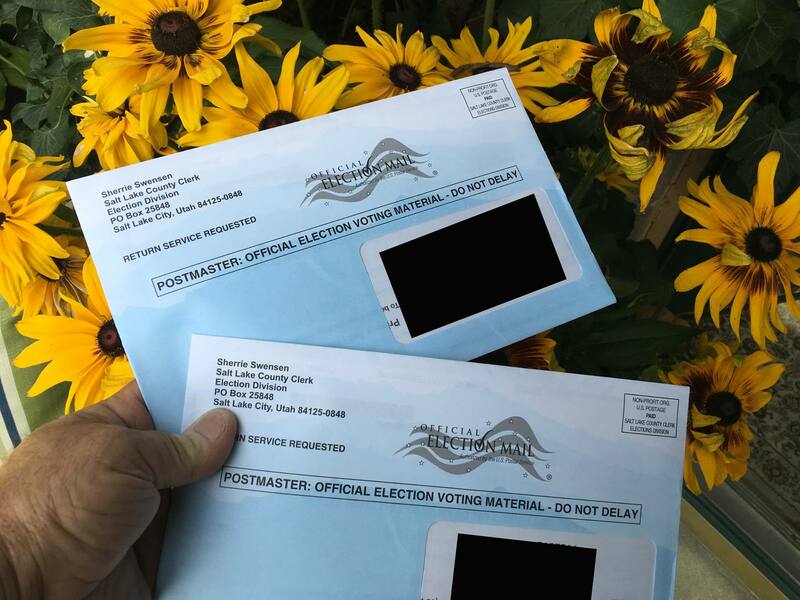 If you are expecting a vote by mail ballot, and don't receive it soon, contact the County Clerk's office at (385) 468-7400. I would be honored to receive your vote! Click on the link above to review some of the great things I have been able to accomplish the last two years! 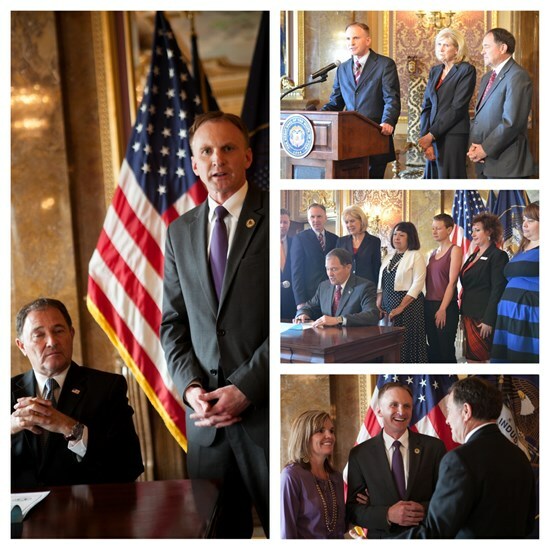 This last week the legislature held its September 2014 Interim Session. Click the link above to find out all the details. Also, we are knee-deep in campaign season. 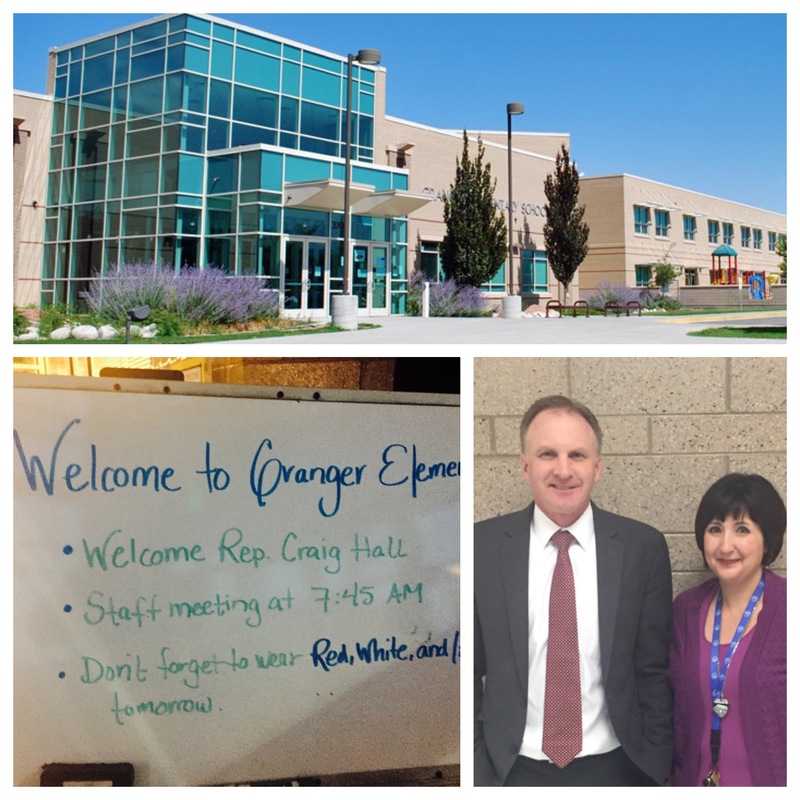 As you may have noticed, we are knocking hundreds of doors within the District, holding town-hall meetings, and continuing to discuss concerns with those who live, work and send their kids to schools in West Valley. Thank you so much for your support. Election Day is coming soon! As most of you know, I am running for re-election in 2014. Now that Labor Day has come and gone, campaign season is officially upon us. I feel great about what I have accomplished since first being elected in 2012. But there's more to be done! Things are going fantastic with the campaign. Signs are going up and we're walking dozens of neighborhoods, knocking on doors and listening to the issues that you care about most. Click on the above link to see many of my accomplishments over the last two years! 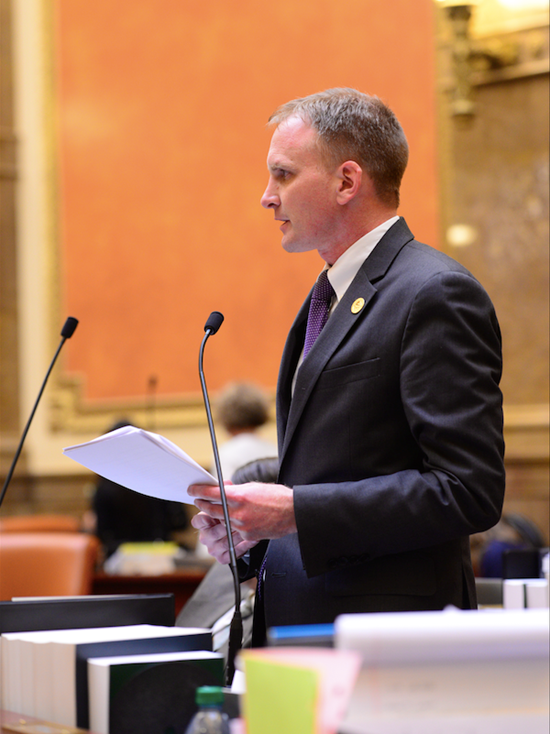 Over the last month I participate in the July legislative interim session. 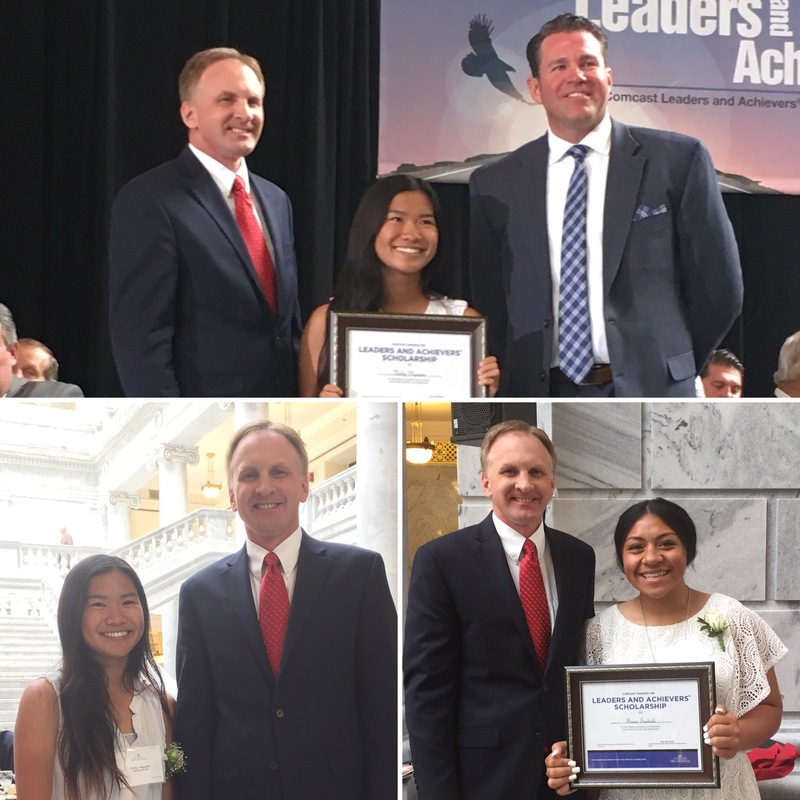 It is truly an honor representing the great residents of West Valley at the State Capitol. Click the link more details regarding all of the great discussions which are happening now at the state capitol. Also, the campaign is really starting to ramp up! It is great to meet so many voters as I knock on their doors. It is also wonderful to have received so much support for this upcoming election. Here's an example of a recent letter I received supporting our campaign! Welcome to Summer! 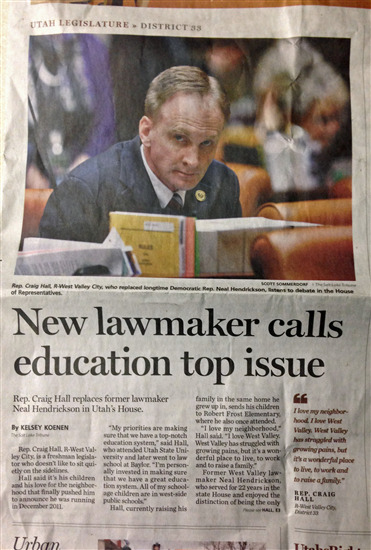 Click on the above link to see the latest with Rep. Hall and the State Legislature. 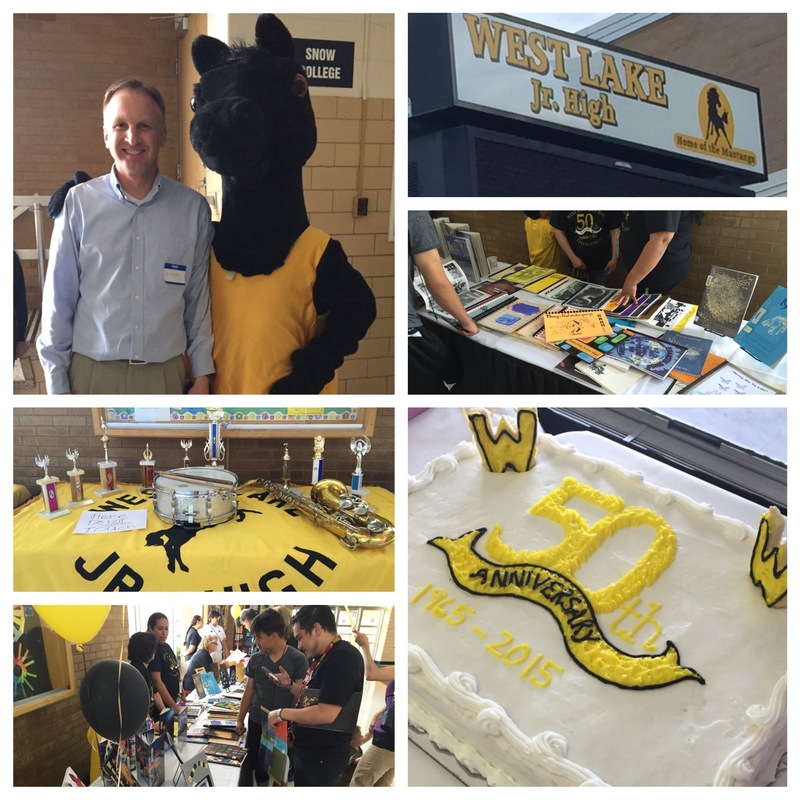 We had great times this month with West Fest, Flag Day, and our last Interim Session. Thanks again for your support and for reaching out to me! 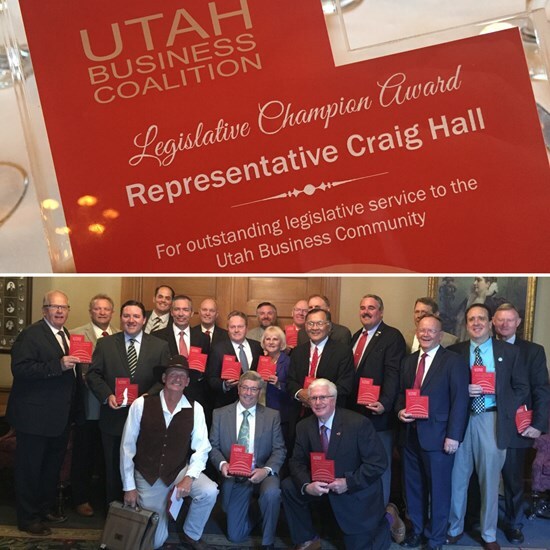 Click on the above link for a summary regarding what Rep. Hall is accomplishing, what the legislature discussed during the May 2014 Interim Session, and what we have in store over the next sever al months! The 2014 General Session is complete. And the work for the 2015 Session has already begun! Click above to see all the details of the upcoming "Interim Session." 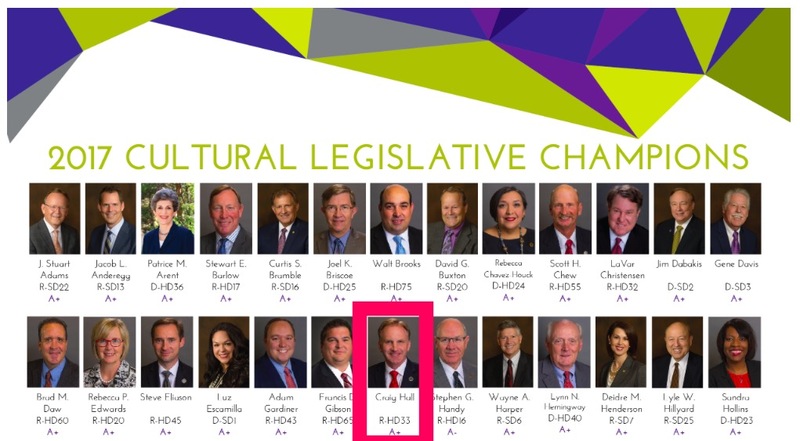 You can also find information about Rep. Hall's groundbreaking campaign finance/ethics bill, along with a description of what the bipartisan "Clean Air Caucus" got done this year. Six weeks are in the books and there are 4 days left. Thank you so much for all of your support. It is truly an honor to represent the great residents of District 33. 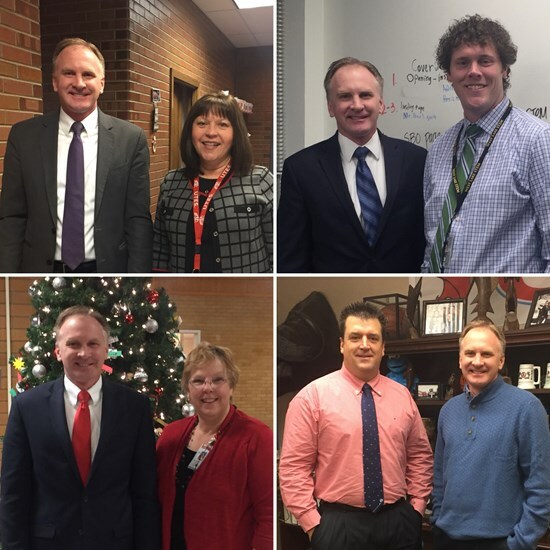 Click on the link to see just a few highlights from the week. Four weeks are in the books and just two weeks left. Click on the above link to see a few highlights from the week. 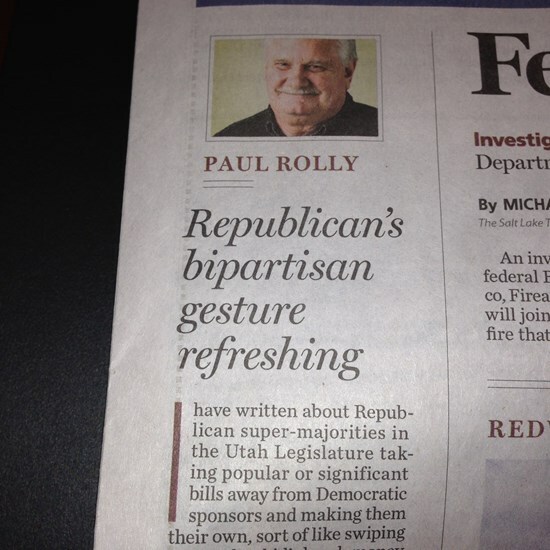 This last week, Paul Rolly of the Salt Lake Tribune called me "refreshing" and a healthy "example of bipartisanship." Click on the link above for all the details. I really appreciate all the expressions of support I have received in this regard. Sometimes we just have to work together and it shouldn't matter who gets the credit. 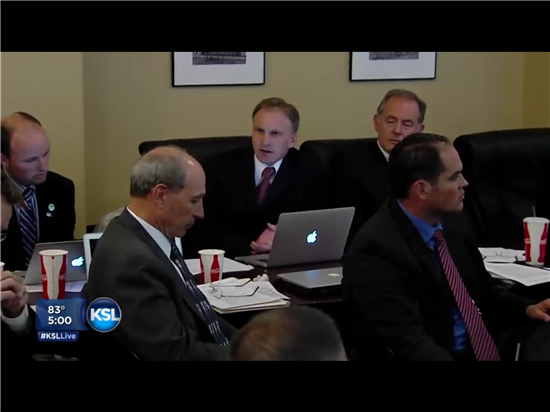 Week 3 of the 2014 Utah Legislative Session has come and gone. We are now done with the initial "base" budgets, and spent much of the week considering substantive non-budget bills. 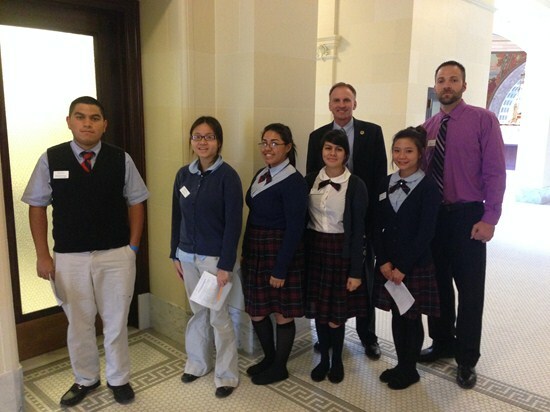 One highlight this week was the visit from several students from Granger High School. See the above link for all the details. 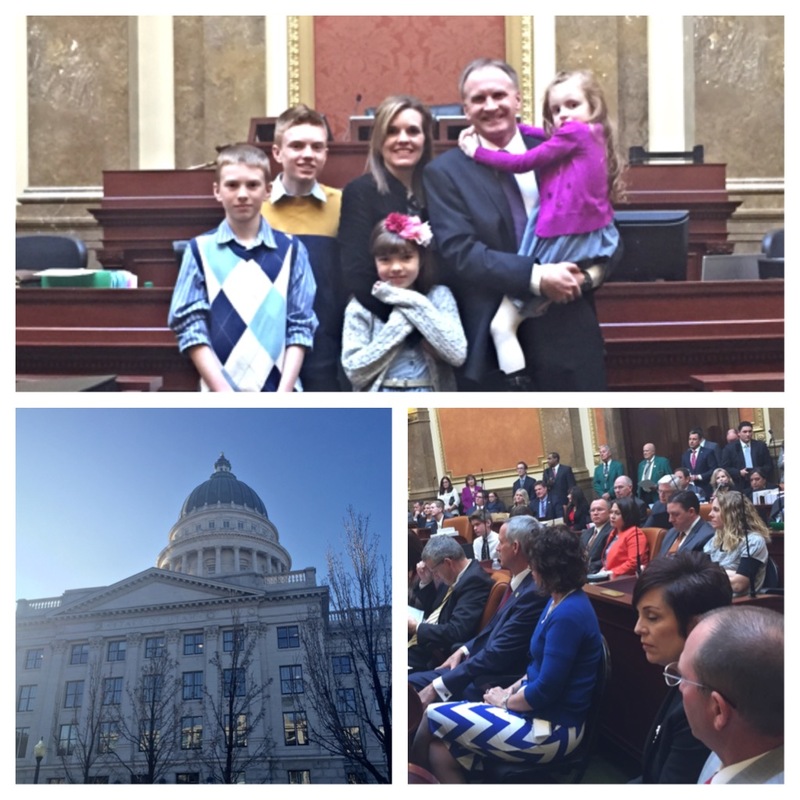 The 2014 General Session of the Utah State Legislature began Monday, January 27. Two weeks are in the books and there are 32 days left. We had more substantive budget talks and began discussions on other non-budget bills. See the above link for a few highlights from the week. 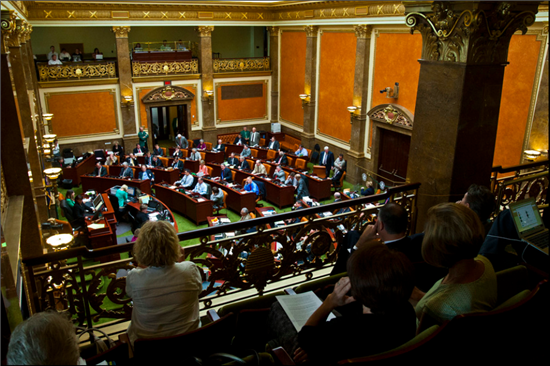 The 2014 General Session of the Utah State Legislature began on Monday, January 27. Thank you so much for all of your support. It is truly an honor to represent the great residents of District 33. Click on the above link to see some highlights throughout the week. 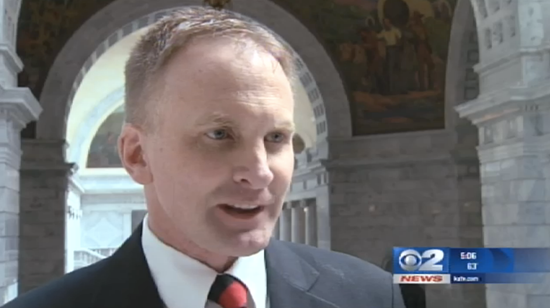 The 2014 General Session of the Utah State Legislature began on Monday, January 27. Thank you so much for all of your support. It is truly an honor to represent the great residents of District 33. 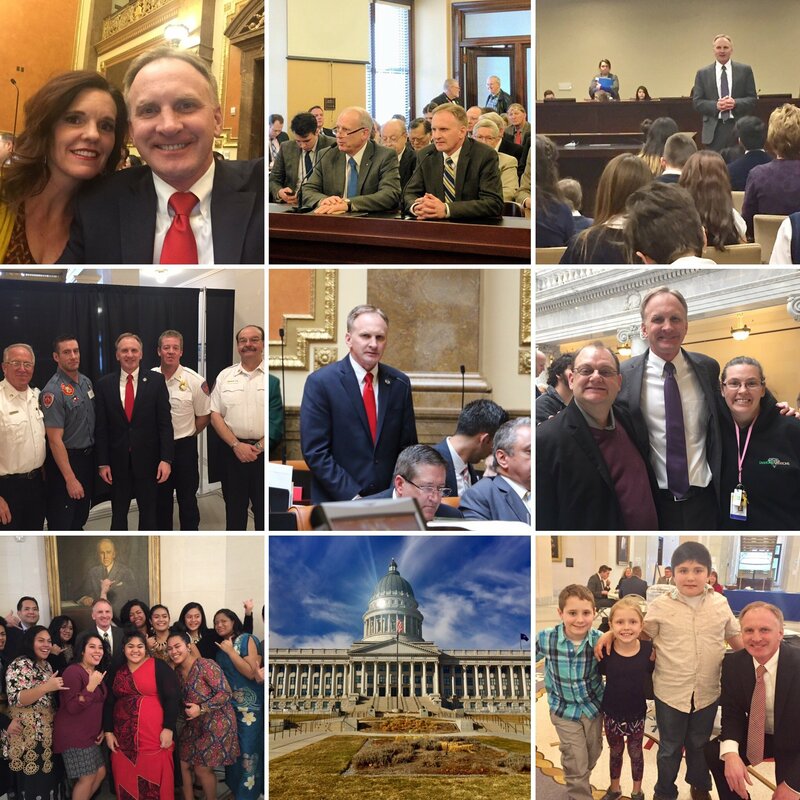 Click on the above link for a few thoughts as we begin the Session…..
1 - Over the next few days, thousands of homes within District 33 will be receiving my 2014 legislative survey. Please complete this survey and return it. Your input is invaluable as I enter into this Session where extremely important decisions will need to be made. Thanks! The legislature does not have an official Interim Session in December. However, we met on December 17th and 18th and discussed some of our priorities for the upcoming Regular Session. Click on the link for all the details! 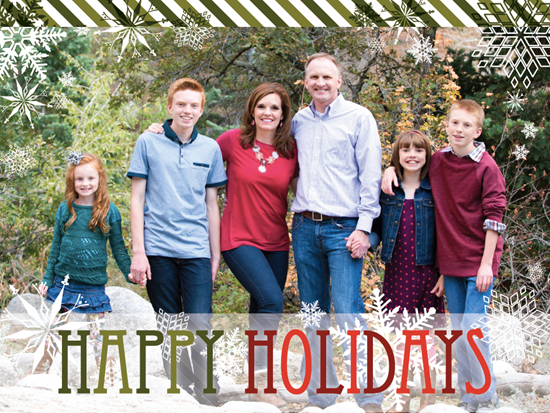 During this special time of year, I wanted to reach out and wish you and your loved ones a happy holiday season. 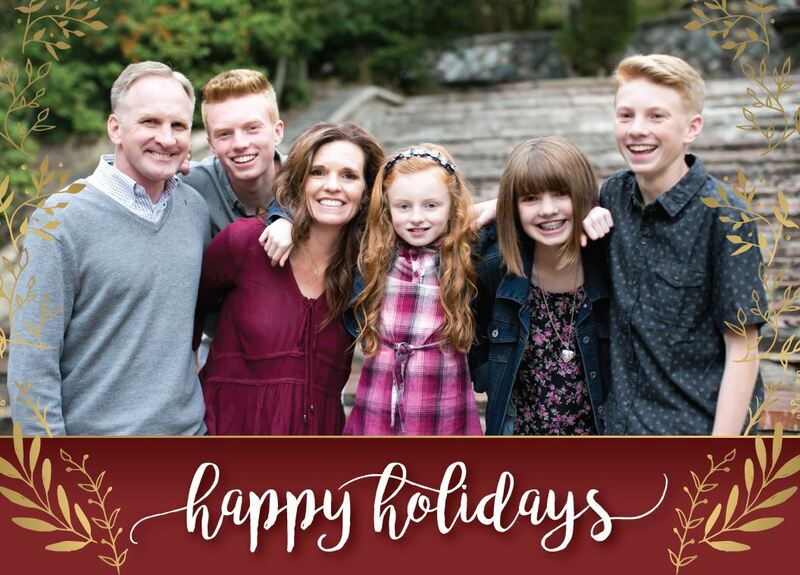 Below is a holiday card from the Hall family. Thanks again for all your support! 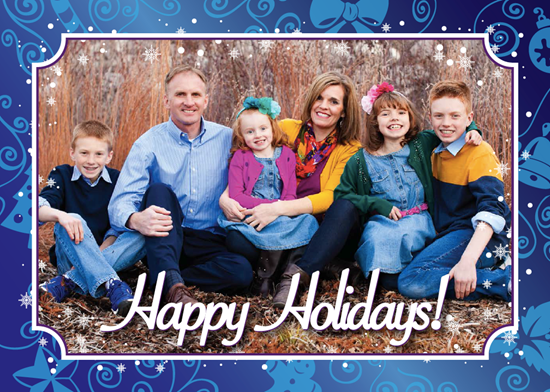 And Happy Holidays to you, your family, and to those that you love! Our latest (and last of 2013) Interim Session was this last Wednesday, November 20. Click on the above link for the highlights! Click on the above link to review the latest community events, including the meeting with the newly-appointed West Valley Police Chief, Lee Russo. Our latest Interim Session was this last Wednesday, October 16. 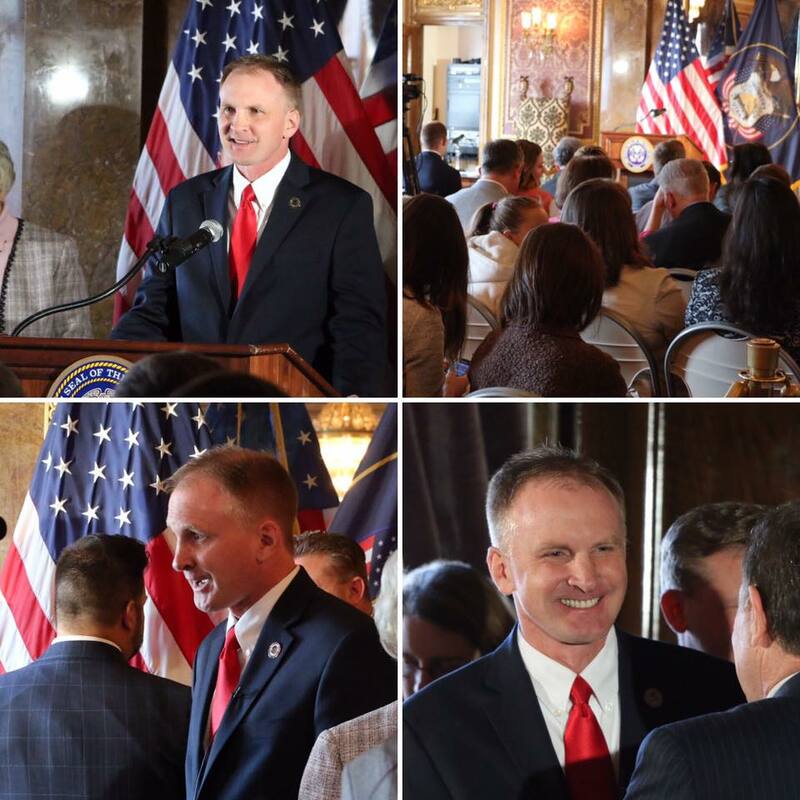 We also held the Special Session to keep the National Parks in Utah open. Thanks to everyone for your support regarding this important issue!! On October 3, Rep. Johnny Anderson and I had a Town Hall Meeting with the Speaker of the House Becky Lockhart at Taylorsville City Hall. Thanks to all of you that were able to come, listen, and ask questions. I really appreciate it. 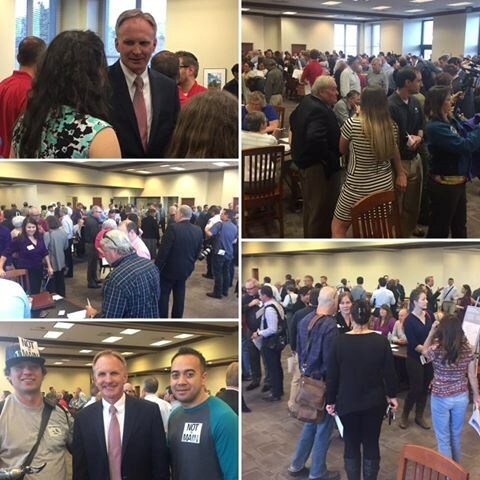 I have now held over a dozen Town Hall meetings since before even the last election. And I anticipate holding several more as we get closer to the next General Session that begins in January. Thanks again! Click above to see more photos of the event. Our latest Interim Session was this last Wednesday, September 18. We had some fascinating topics to discuss. Our latest Interim Session was this last Wednesday, July 17. 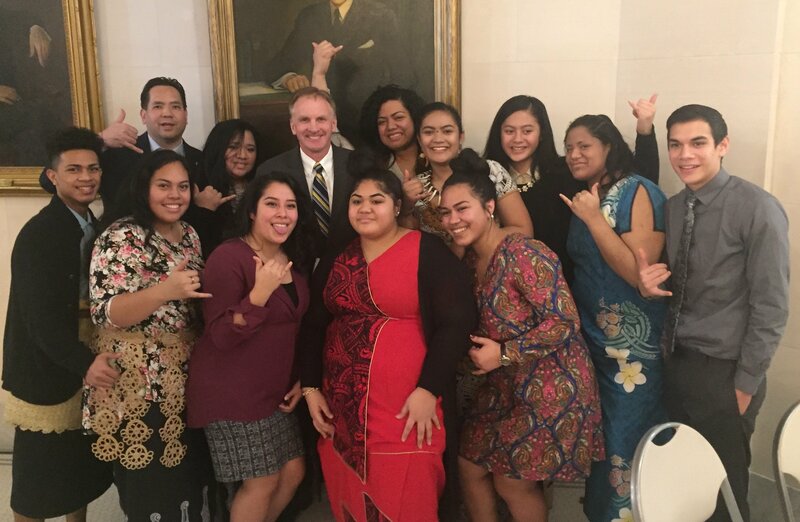 This Interim Session was somewhat unique because we also had a Special Session called by the Governor on that same day. The Regular Legislative Session lasted from January 28 - March 14, 2013. After March 14, all legislators (including me) went back to their regular lives and jobs for the rest of the year. We do meet in "interim sessions," which happen one day a month, to discuss possible bills, to study issues, and to recommend bills to the Senate or House for consideration. 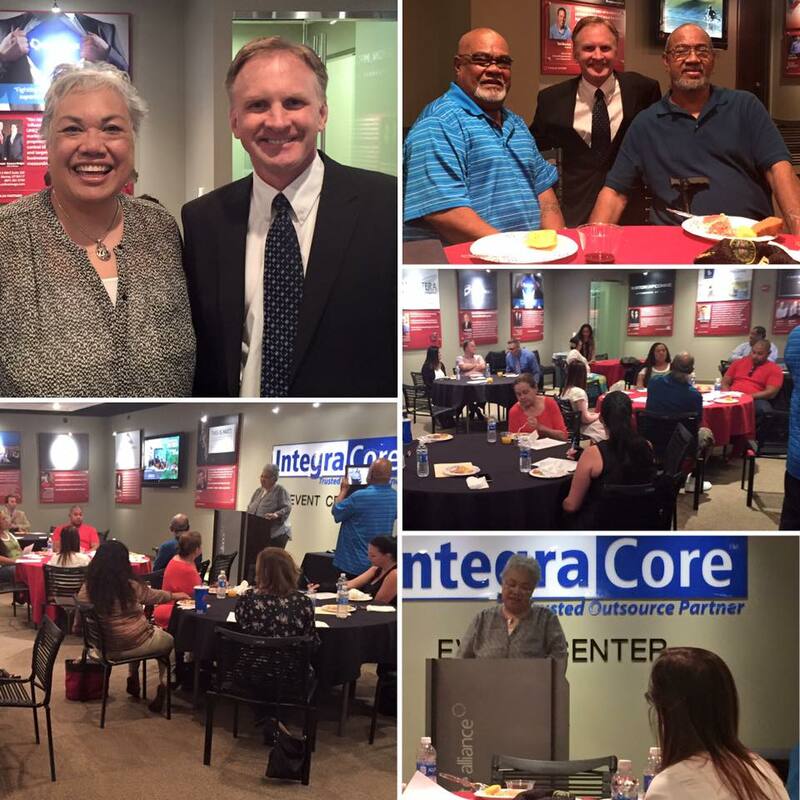 Our second Interim Session was this last Wednesday, June 19. 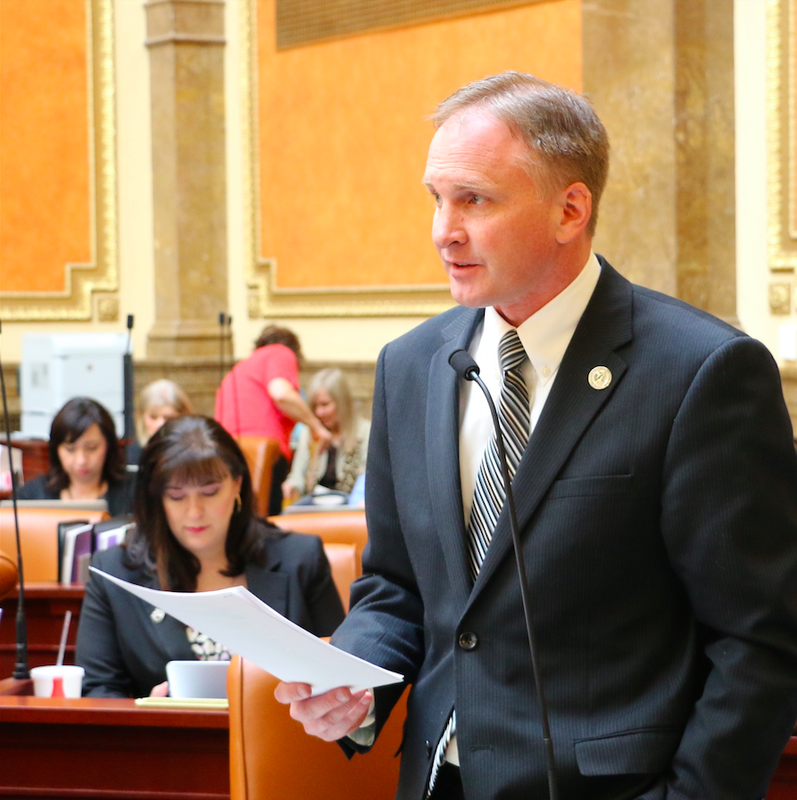 This week we discussed several issues, including making the decision to formally investigate the Utah Attorney General. Click the above link to read more. One of the areas where we made some decent improvement was our education system. Education was by far the highest priority in this General Session, with local schools, colleges and universities receiving over 70% of available new revenue, including capital facilities and economic development initiatives. 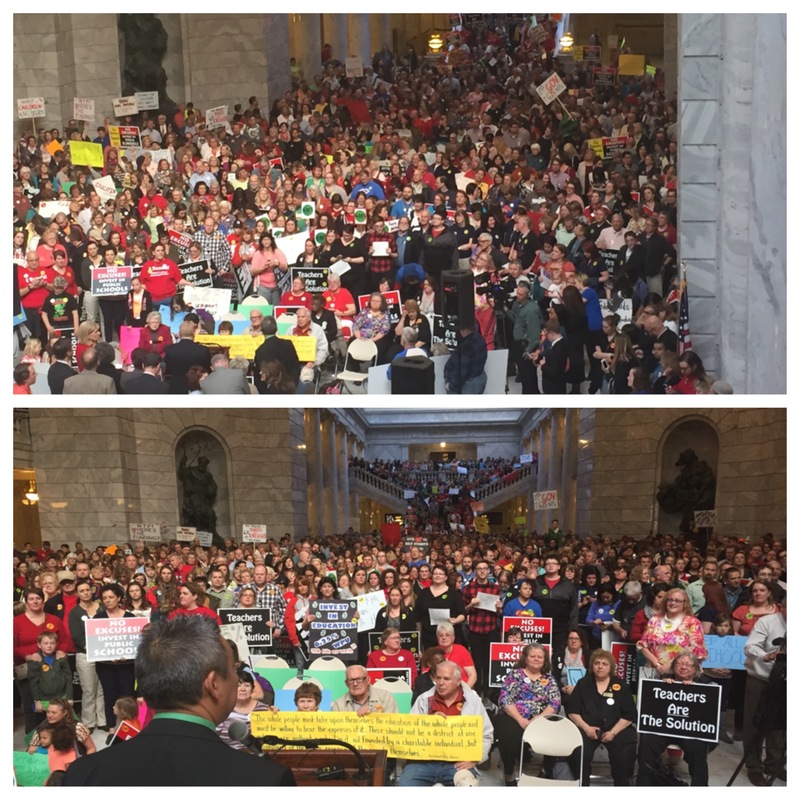 The legislature funded nearly $70.0 million in public education student enrollment growth and spent more than $45 million to increase public education’s base formula by two percent. 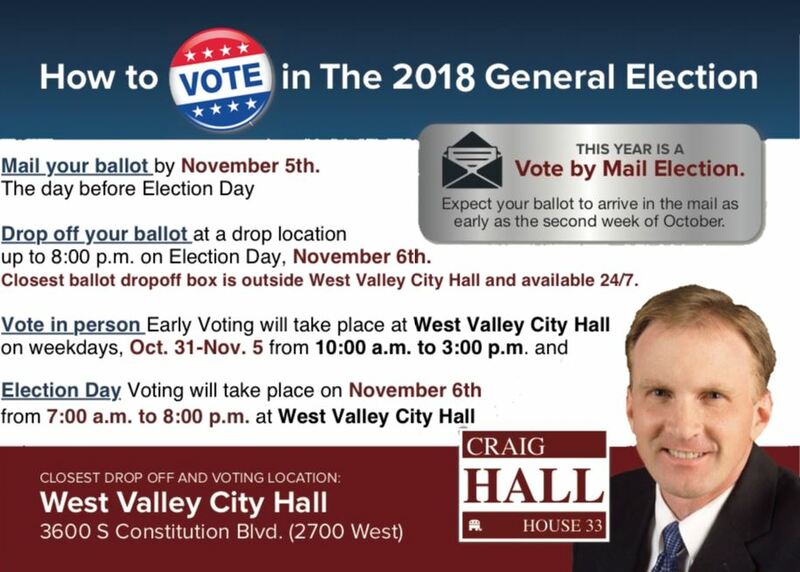 My priorities will continue to be: (1) a top-notch education system; (2) a strong economy; and (3) effective representation for West Valley at the State Capitol. To those within House District 33, thank you so much for your vote, support and trust. I am truly humbled to receive such support and commit to doing the best I can to represent our District well at the State Capitol. We have a lot of work to do and I look forward to helping make our community a greater place to live, work, and raise our families. I would just like to thank all those who volunteered, donated to, or otherwise supported our campaign. Seriously, I could not have done it without all of your help. I can't express how much appreciation I feel for all our volunteers who believed so much in our campaign. Thanks to my wife for all of her support and patience. Thanks to my kids (who have already started lobbying me for a three-day school week) for all their help. It was fun to have them as part of the campaign. Thanks again for everything and I look forward to serving the residents of District 33. Feel free to contact me any time. Another great chance to meet the candidates! Tonight, October 26, Taylorsville City Hall (2600 West 5400 South), 7:30 p.m. Candidates include Gov. 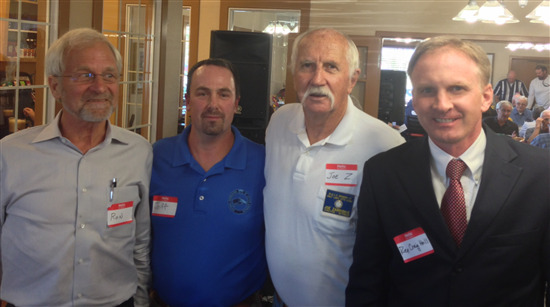 Herbert, John Swallow, Mia Bourdeau Love, Mark Crockett, Rep. John Dougall, Rep. Johnny Anderson, and Rep. Wayne Harper and Craig Hall. 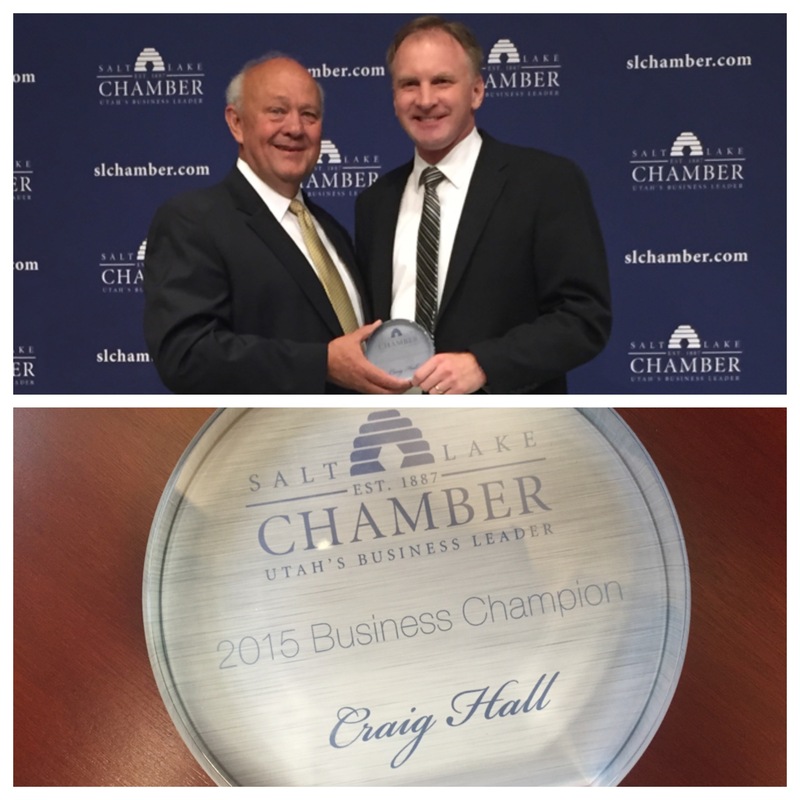 "Craig Hall is the right person to represent the west side of Salt Lake County. 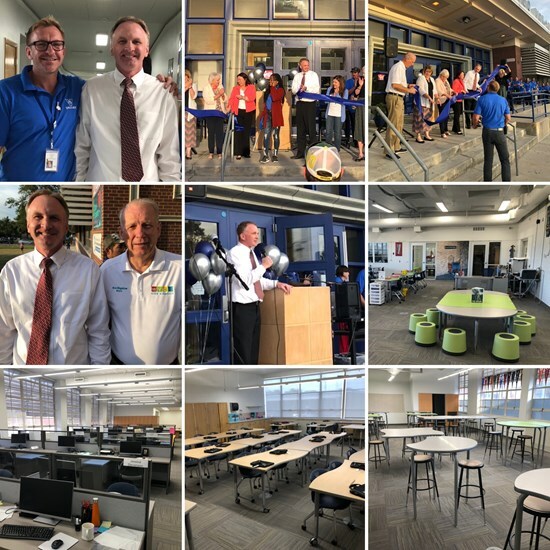 His determination to strengthen Utah's economy and educational performance will drive innovation in the marketplace and ensure that students are prepared to enter the workforce." Thank you to the American Federation of State, County and Municipal Employees (AFSCME) for their endorsement. "The American Federation of State, County and Municipal Employees, Local 1004 is pleased to endorse you in your bid for the House of Representatives - District 33. 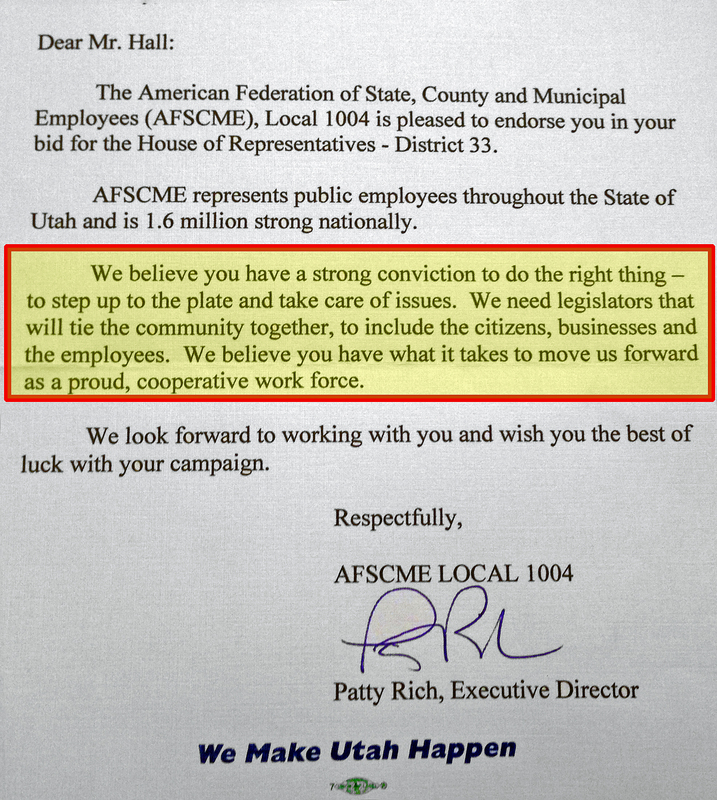 "AFSCME represents public employees throughout the State of Utah and is 1.6 million strong nationally. "We believe you have a strong conviction to do the right thing - to step up to the plate and take care of issues. We need legislators that will tie the community together, to include the citizens, business and the employees. We believe you have what it takes to move us forward as a proud cooperative work force. "We look forward to working with you and wish you the best of luck in your campaign." Just another example of the broad support our campaign is receiving. 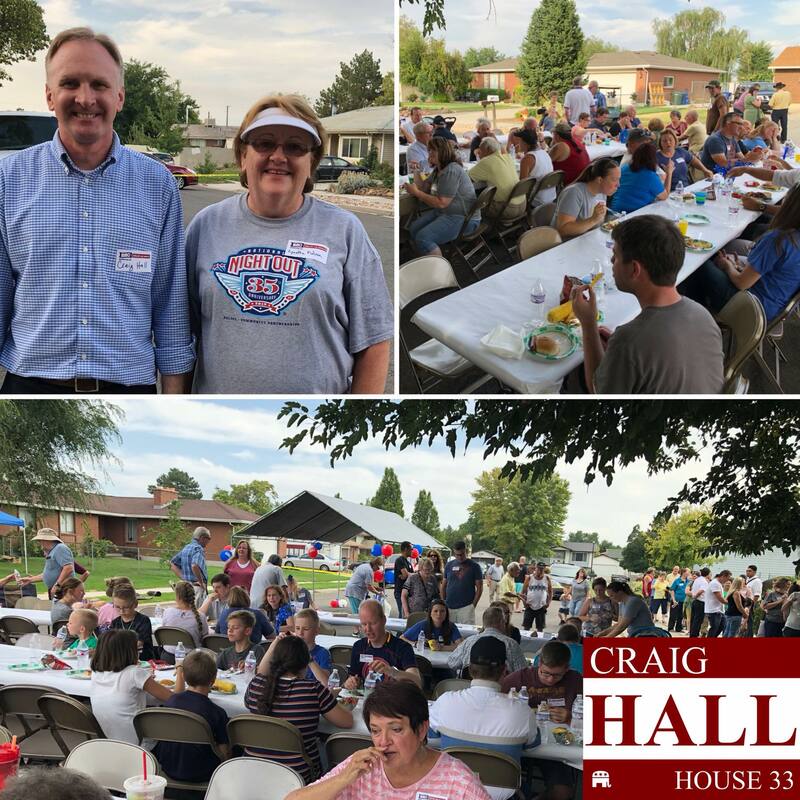 Out of the two candidates in this race, the AFSCME believes that CRAIG HALL is the best candidate to help the working families in District 33. Click here to see a photo of the letter. 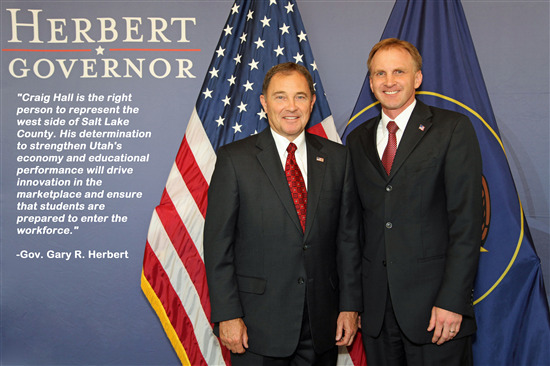 "We have reviewed your letter and considered your interview in evaluating your request and are pleased to inform you that the Utah AFL-CIO has decided to endorse your candidacy. We have listed you on our website and your endorsement will be communicated to our labor members." Just ANOTHER example of the extremely broad support our campaign is receiving. An important question in this race is, "Who is the best candidate to fight for working families?" This is three weeks in a row our campaign has received important endorsements. Thanks again to all our supporters! 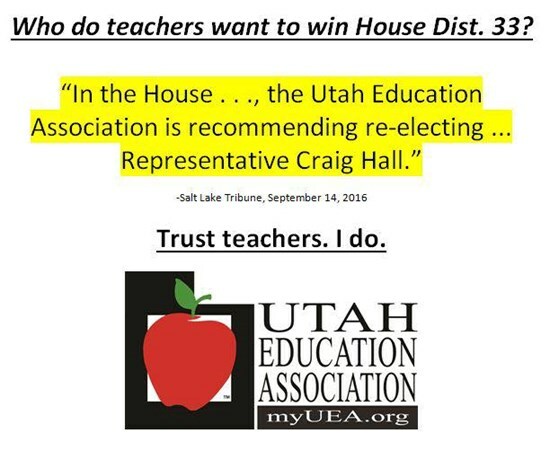 Endorsement by the Utah Public Employees Association! 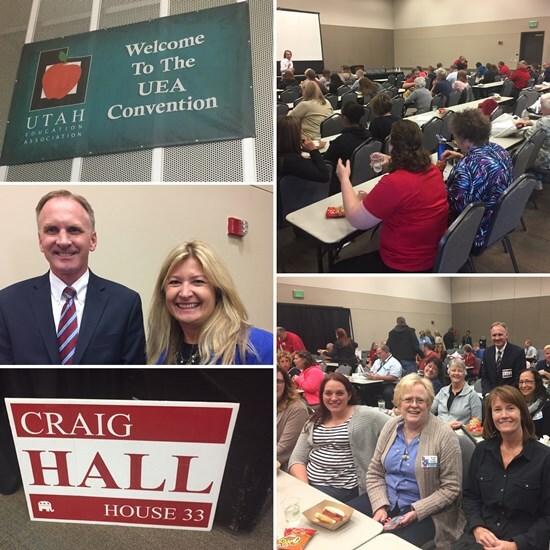 This week I was honored to receive the formal endorsement of the Utah Public Employees Association (UPEA). 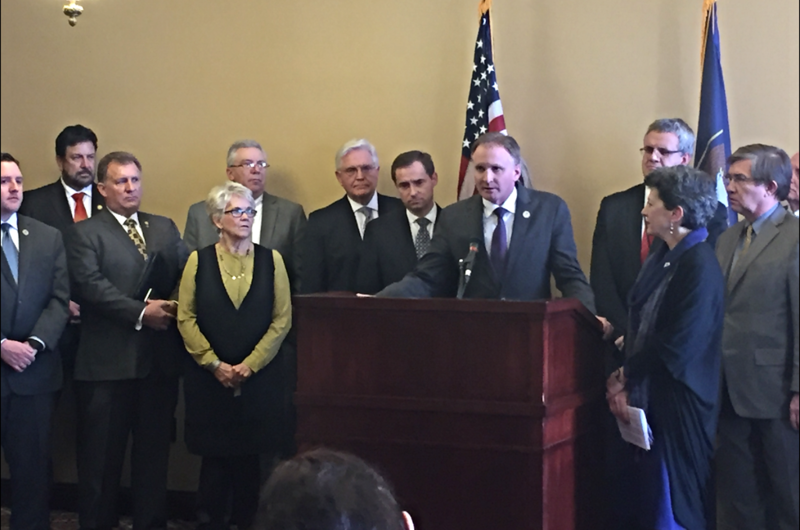 This organization represents the interests of thousands of public employees that live and work in Utah. 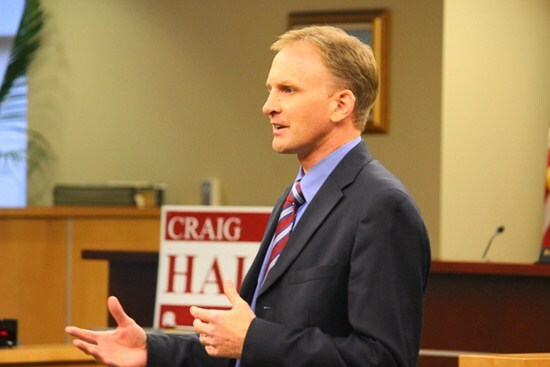 Out of the two candidates in this race, the UPEA chose Craig Hall. We look forward to, and are extremely excited to have their help during the campaign! This is two weeks in a row where our campaign has received important endorsements. Just another example of the broad support we are receiving. Thanks again! Endorsement by the Operating Engineers! Our campaign has received the formal endorsement of the Operating Engineers No. 3 (OE3). This organization represents the interests of people who build and protect. Most of their members work as heavy equipment operators and construction workers, but they also represent public employees, such as maintenance workers and police officers. 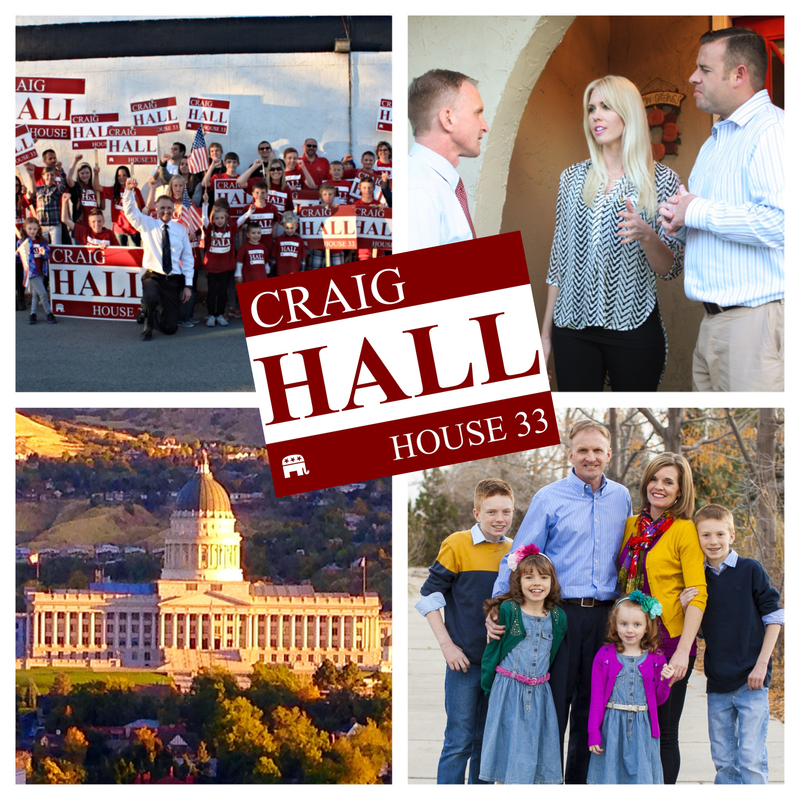 Out of the two candidates in this race, OE3 chose Craig Hall. We look forward to, and are extremely excited to have their help during the campaign! Thanks again! Check out the video from Comcast! View it at http://www.votecraighall.com/video Thanks to Comcast for putting this together for us! Great Support at the WestFest Parade! 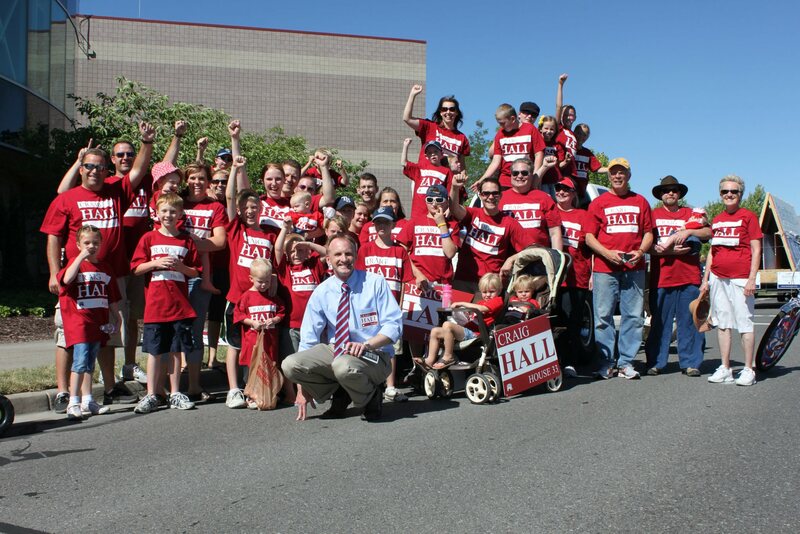 Thanks to all the supporters at the WestFest parade! 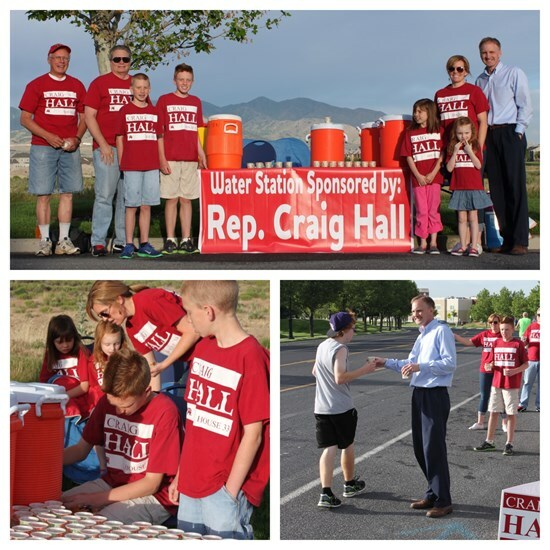 See photos here: http://on.fb.me/NXcSCT We had over 30 volunteers, shook hundreds of hands, and handed out 1,500 "Craig Hall" water bottles. Thanks again! I would like to thank Representative Neal Hendrickson for his many years of service. Since his initial election in 1990, Neal has served as the Representative for District 33. 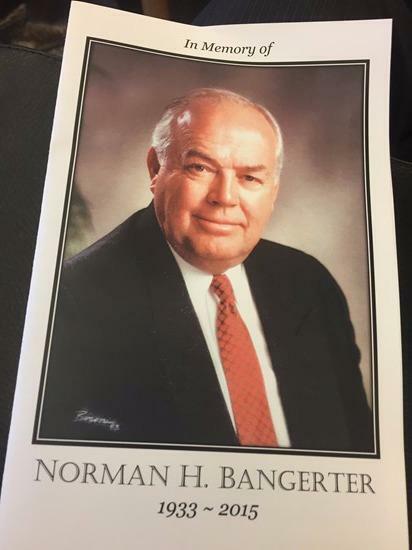 I extend to him my personal thanks for his long-standing commitment to public service and his willingness to represent the residents of District 33 for over 20 years. I am excited for the opportunity to share my vision with the voters of this District, and look forward to the General Election on November 6th. 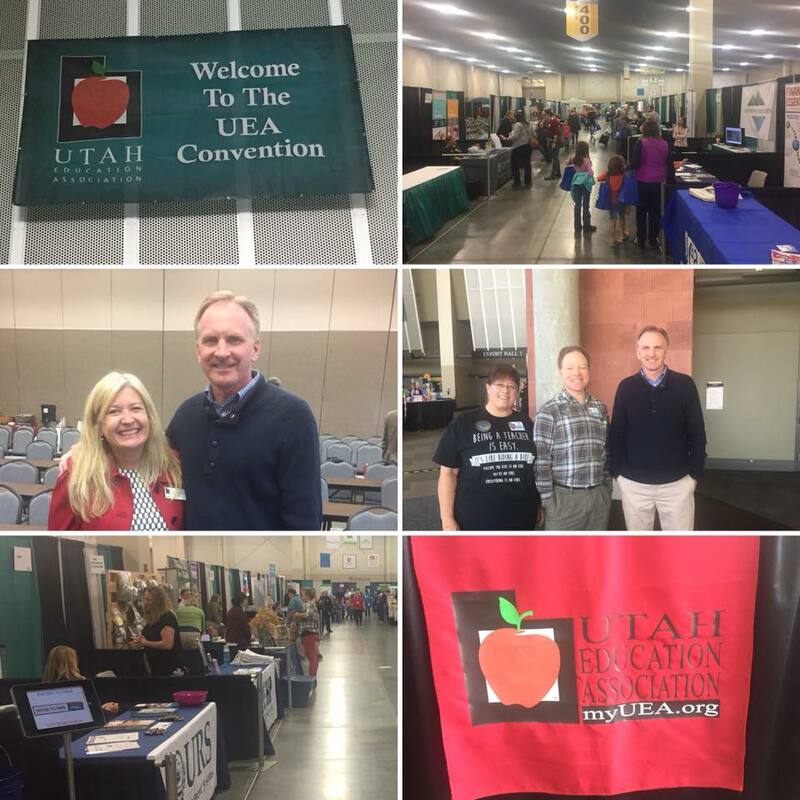 Success at the Salt Lake County Convention! We did it! 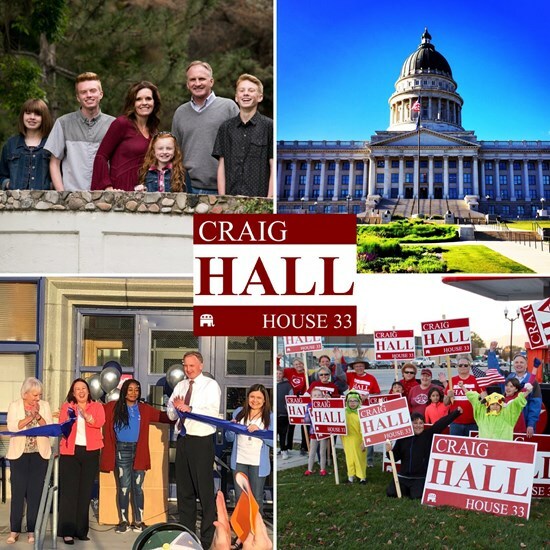 I am now officially the Republican nominee for the Utah House of Representatives, District 33 and the name "CRAIG HALL" WILL BE ON THE BALLOT IN NOVEMBER! We were able to get enough votes to avoid a primary election. Thanks again to all those who helped our campaign. I truly appreciate it. And thanks to all three of my Republican opponents. Salt Lake County Nominating Convention. Saturday, April 14 at the Salt Palace Convention Center, 100 South West Temple. Thanks so much for everyone who has helped with the campaign! We will have a booth in the main Exhibit Hall. Feel free to come by and say hi. See everyone there! District 33 County Delegates, we're having another Cottage Meeting! Thursday, April 5, 7:00 p.m. - 8:00 p.m. 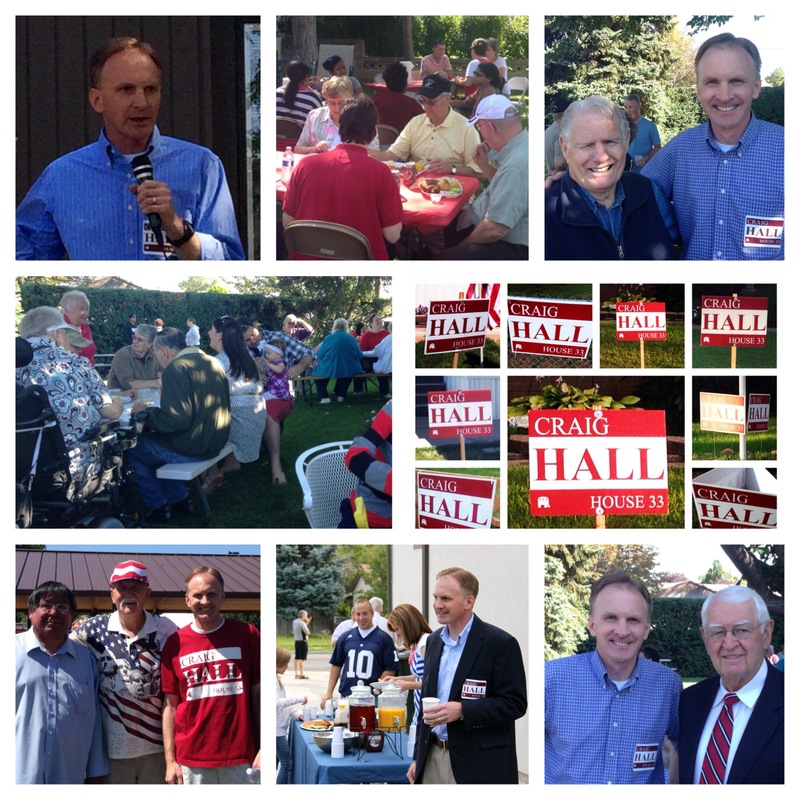 This event will be at the home of Craig & Becky Hall, 3428 Harrisonwood Drive (4580 South), West Valley, Utah. Enter Harrisonwood Drive from 3600 West. Light refreshments will be provided. Hope to see you then! District 33 County Delegates, come and get to know Craig Hall! This event will be at the home of Craig & Roberta Jensen (fellow District 33 residents). 3815 South 3000 West, West Valley, Utah. 10:00 a.m. - 11:00 a.m. Light refreshments will be provided. 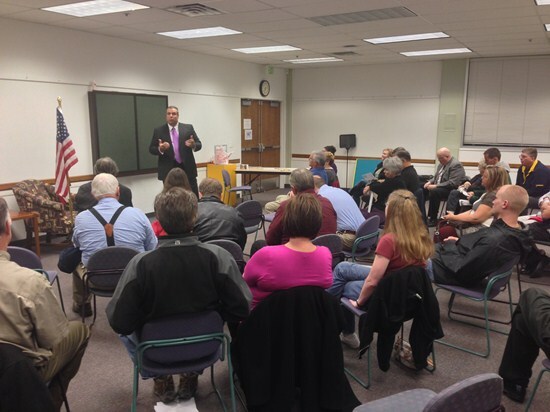 On Thursday, March 15, 7:00 p.m., the Republican party will be holding caucus meetings throughout the State. The caucus meeting for District 33 will be held at West Lake Jr. High School, 3400 South 3450 West, West Valley City, UT 84119. At this meeting, you will vote for County and State delegates, who will then vote for Republican candidates at the State and County Conventions. If you're not in District 33, you can find the location of your caucus meeting at www.utgop.org. 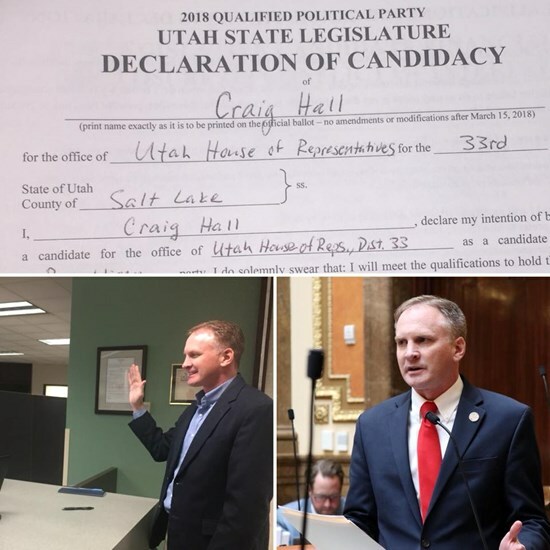 On Friday, March 9 Craig officially filed to become the next Representative for District 33. Click on the above link to see a photo of the "Declaration of Candidacy." We would like to give a big thanks to everyone who has contributed to the campaign. Over the last two weeks, we have received more donations from individuals (both in number of donations and in total dollars) than our 21-year incumbent democratic opponent has received from individuals over the last ten years combined. The democrat incumbent still has more money than us. But it is significant that over 98% of his received donations are from corporations and/or PACs, rather than individuals who are actually pulling the money out of their own wallets. Our campaign has amazing amounts of momentum right now. Let's keep it going! Special thanks to County Delegate Larry Hill who spent two hours knocking on doors in his neighborhood, introducing Craig to his neighbors. It is wonderful to see so many people that truly care about their community. Our first cottage meeting is at Ed and Kathleen Kendall's home on Saturday, January 28 at 10:00 a.m. The address is 3237 West 4630 South, West Valley City, UT 84119. Come get to know Craig. Treats provided! Hope to see you there. 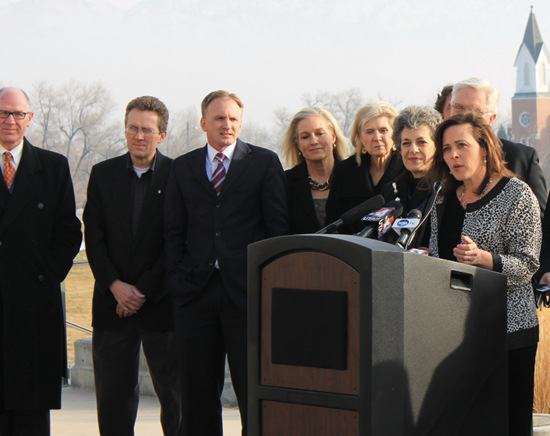 The Republican caucus meetings are on March 15, 2011. At this meeting you will elect your Precinct Chairperson, and State and County Delegates. Locations will soon be announced!